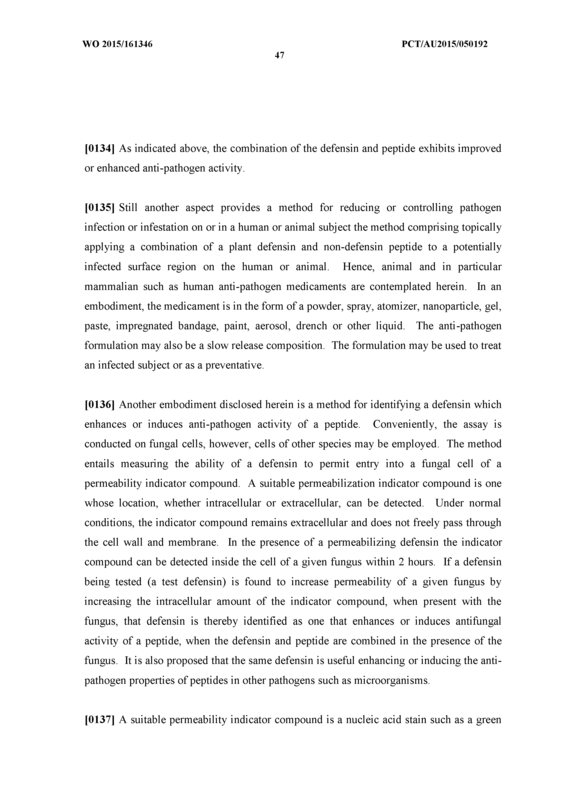 The present disclosure relates generally to the control of pathogen infection and infestation in humans, animals and plants, as well as pathogen contamination in environmental locales, and agents and natural and synthetic formulations and extracts useful for same. 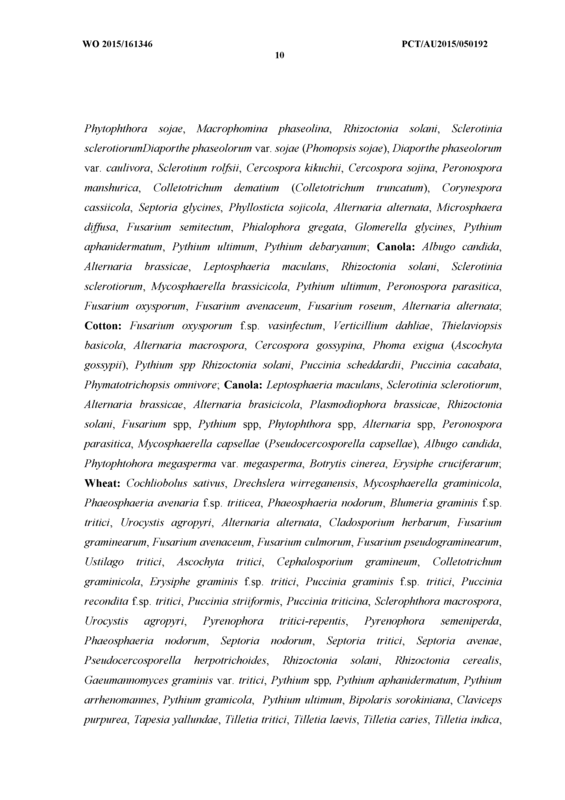 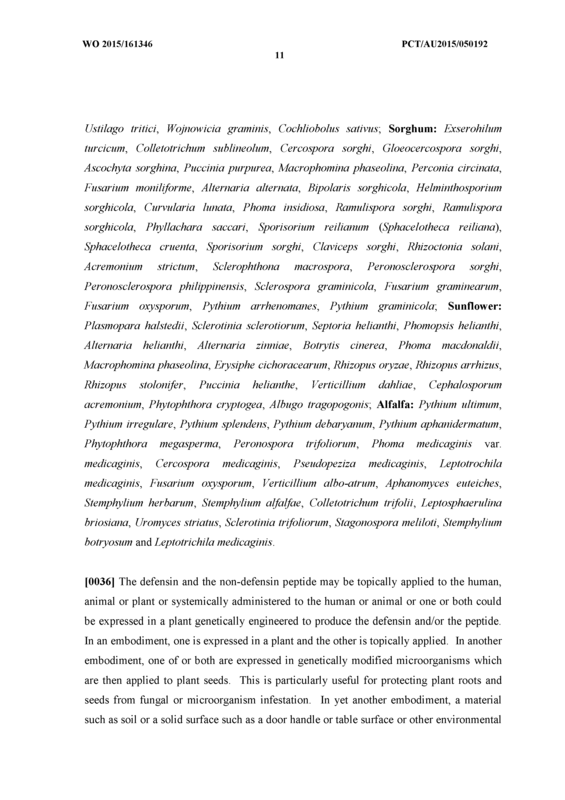 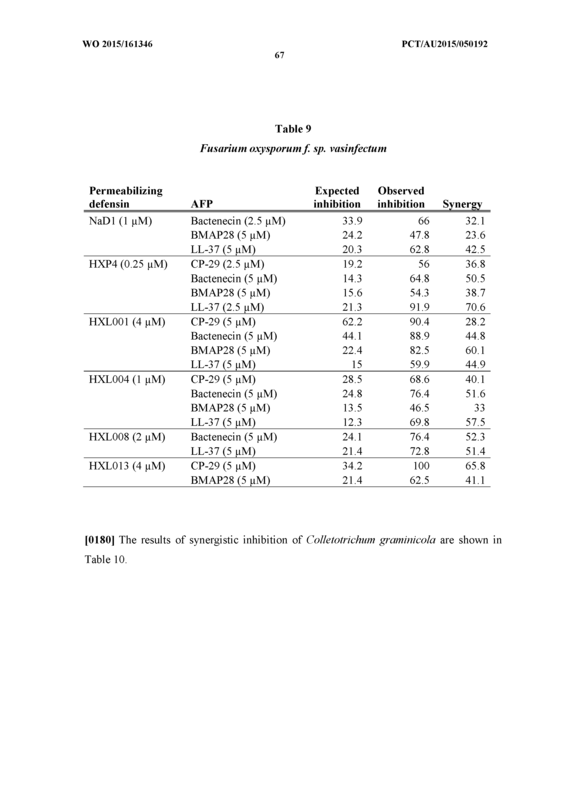 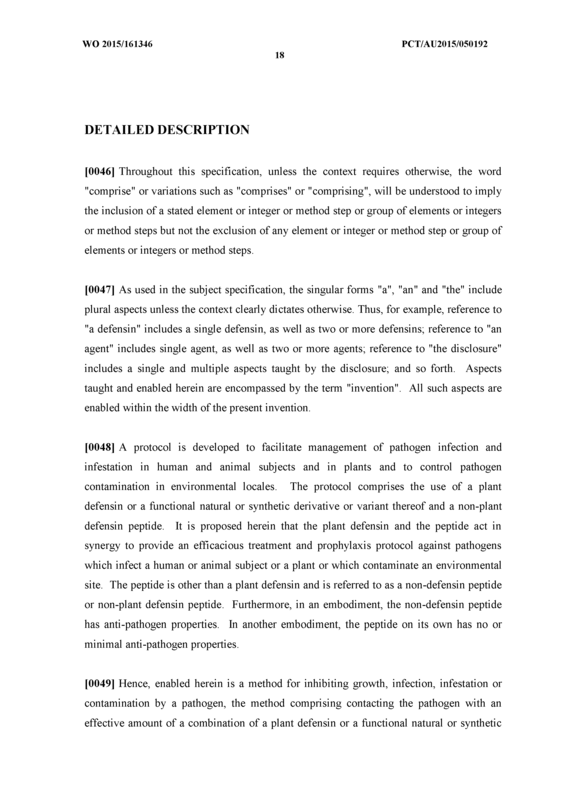 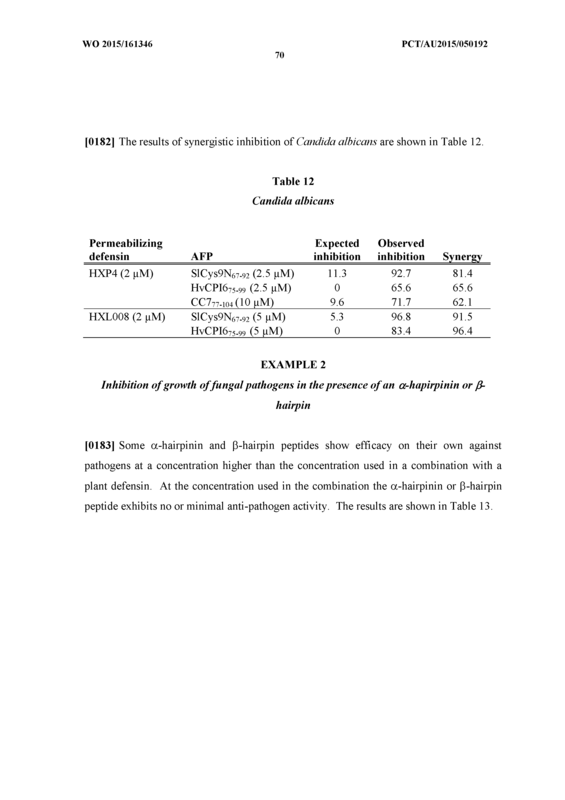 A method for inhibiting growth or infection or infestation of a pathogen, said method comprising contacting the pathogen with an effective amount of a combination of a plant defensin or a functional natural or synthetic derivative or variant thereof and a non- defensin peptide, the combination of the defensin and peptide being synergistic compared to the use of each alone at the same individual dose as used in the combination. 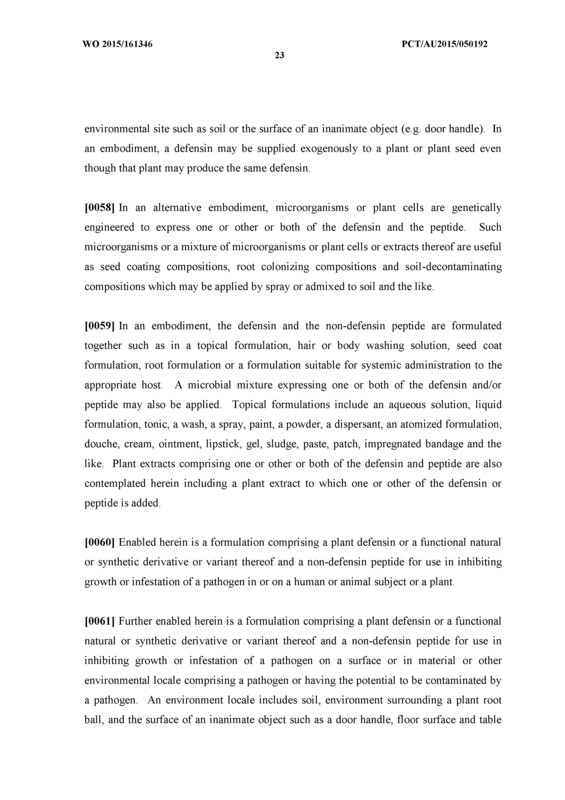 The method of Claim 1 wherein the plant defensin is a permeabilizing defensin. 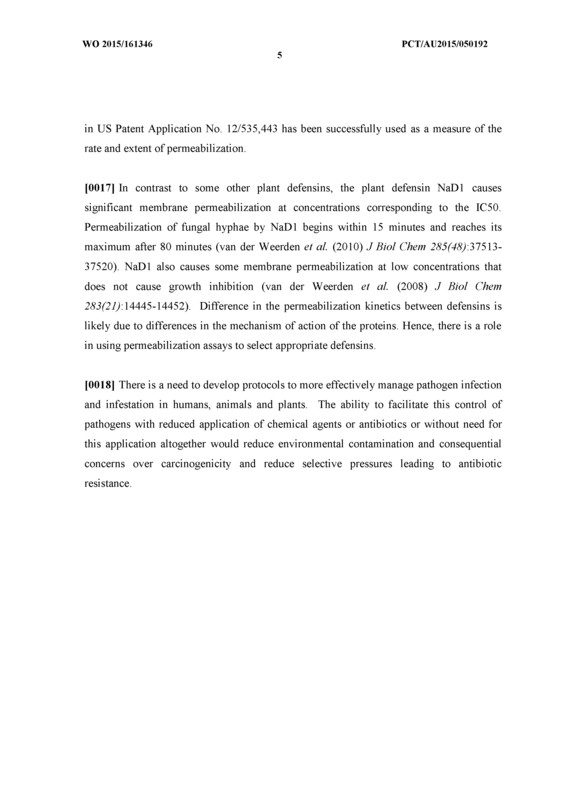 The method of Claim 2 wherein the permeabilizing defensin is selected from the list consisting of NaDl, TPP3, PhDl, PhDIA, PhD2, FST, NoD173, HXL001, HXL002, HXL004, HXL007, HXL008, HXL012, HXL013 HXL015, HXL035 and HXL036. 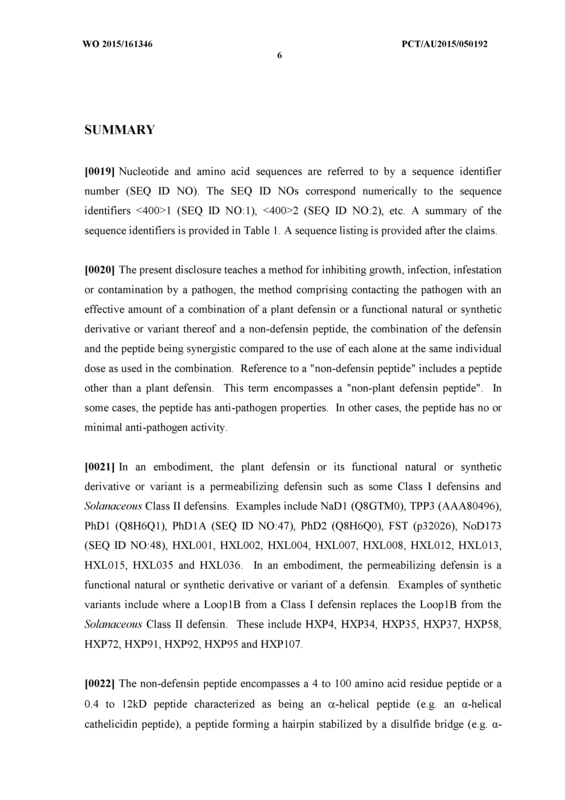 The method of Claim 2 wherein the permeabilizing defensin is a Solanaceous Class II defensin or a functional natural or synthetic derivative or variant thereof. 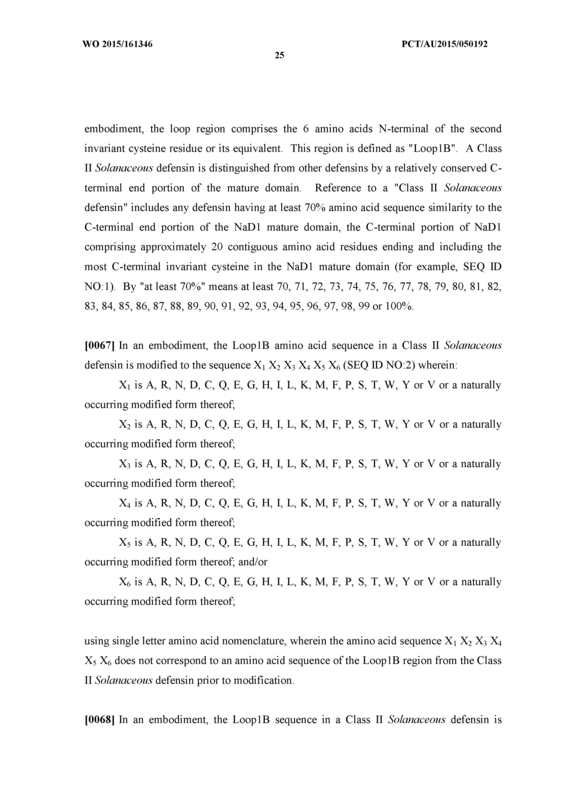 The method of Claim 1 or 2 wherein the defensin variant comprises a Loop IB from a Class I defensin replacing the corresponding Loop IB from a Solanaceous Class II defensin. 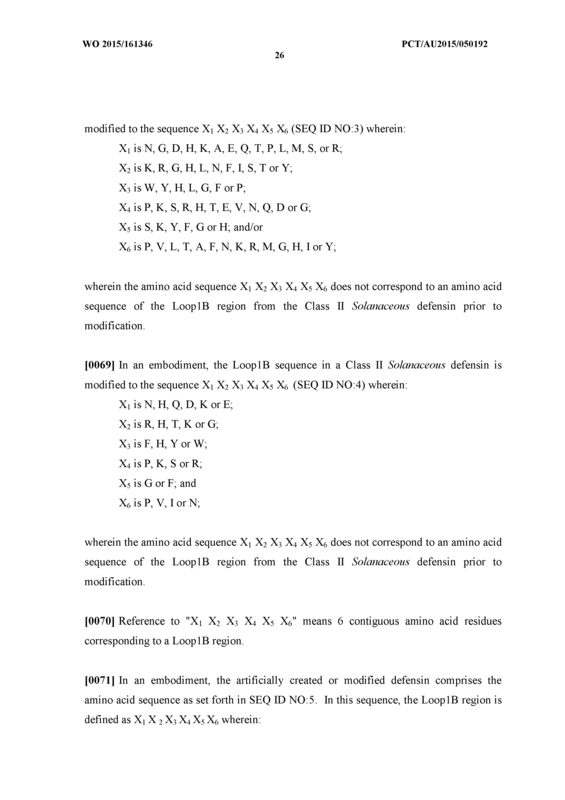 The method of Claim 6 wherein the defensin variant is selected from the list consisting of HXP4, HXP34, HXP35, HXP37, HXP58, HXP72, HXP91, HXP92, HXP95 and HXP107. 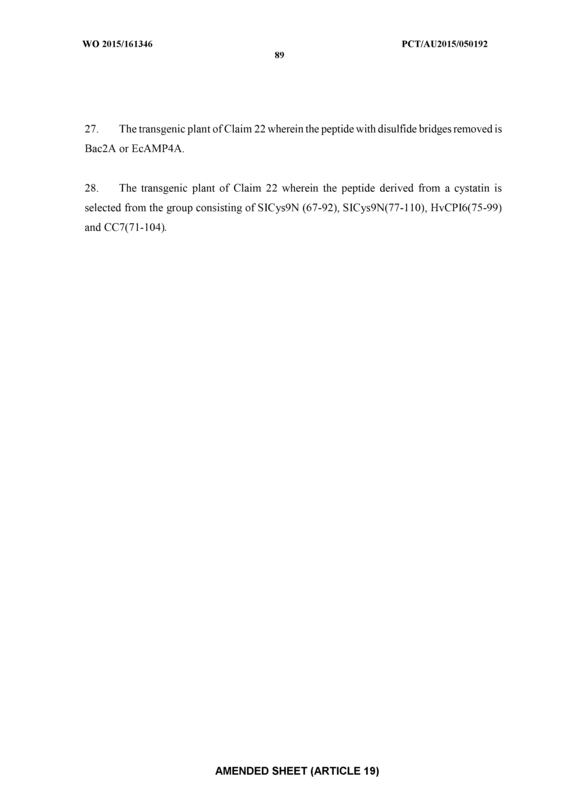 The method of Claim 1 wherein the peptide is from about 0.4 to about 12 kD. 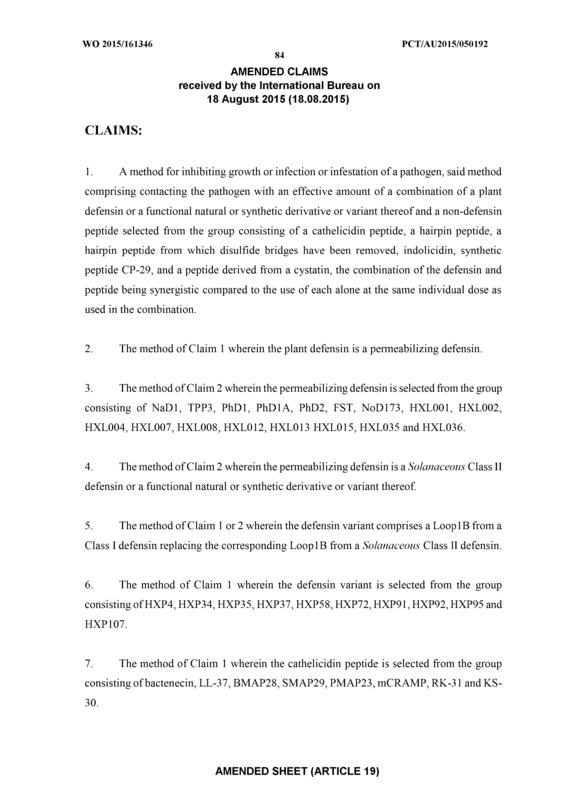 The method of Claim 7 wherein the peptide is less than about 5 kD. 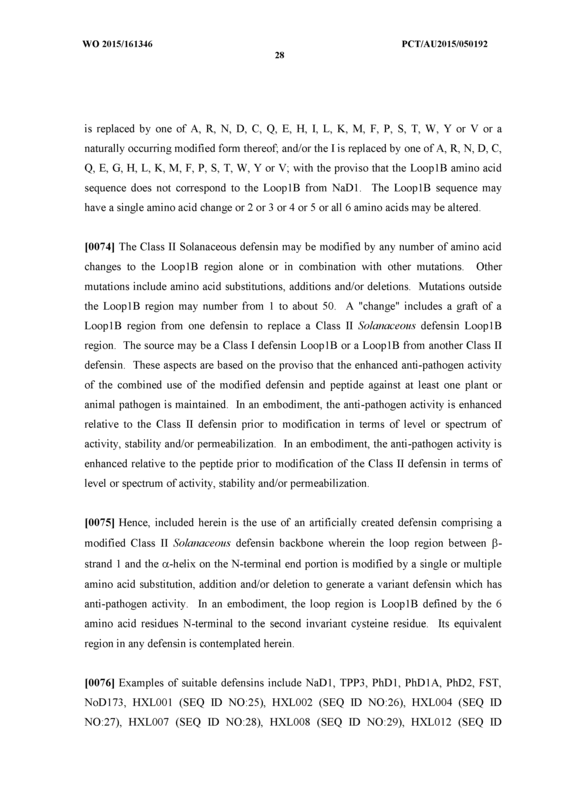 The method of Claim 1 or 7 or 8 wherein the peptide is an a-helical peptide or a peptide, a peptide forming a hairpin stabilized by a disulfide bridge, a peptide with an extended conformation, a peptide enriched with specific amino acids or a peptide derived from a proteinase inhibitor. 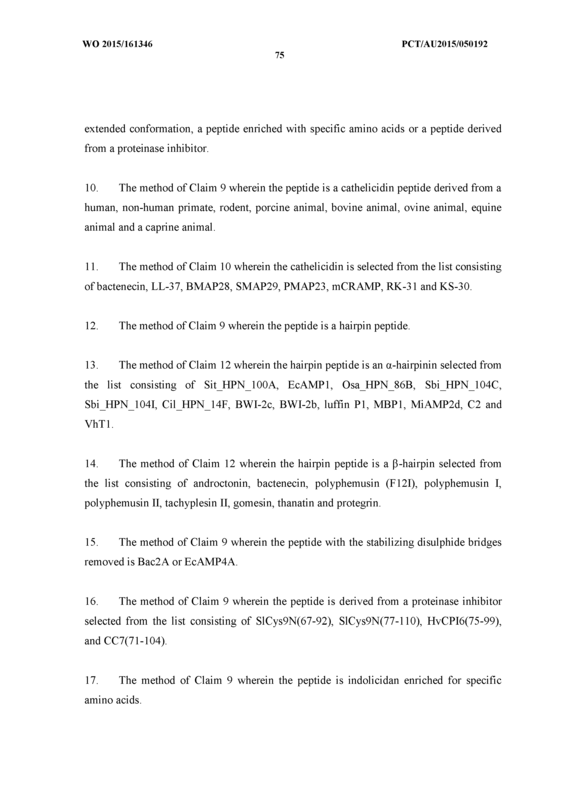 The method of Claim 9 wherein the peptide is a cathelicidin peptide derived from a human, non-human primate, rodent, porcine animal, bovine animal, ovine animal, equine animal and a caprine animal. 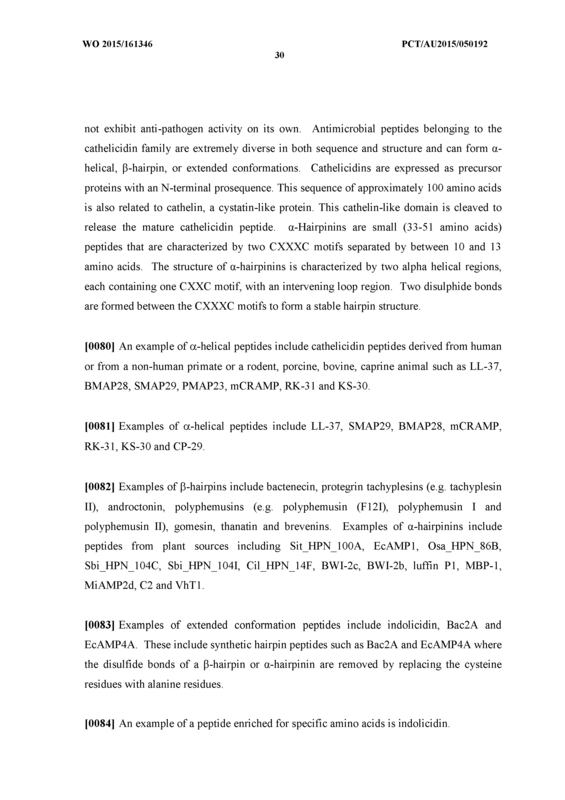 The method of Claim 10 wherein the cathelicidin is selected from the list consisting of bactenecin, LL-37, BMAP28, SMAP29, PMAP23, mCRAMP, RK-31 and KS-30. 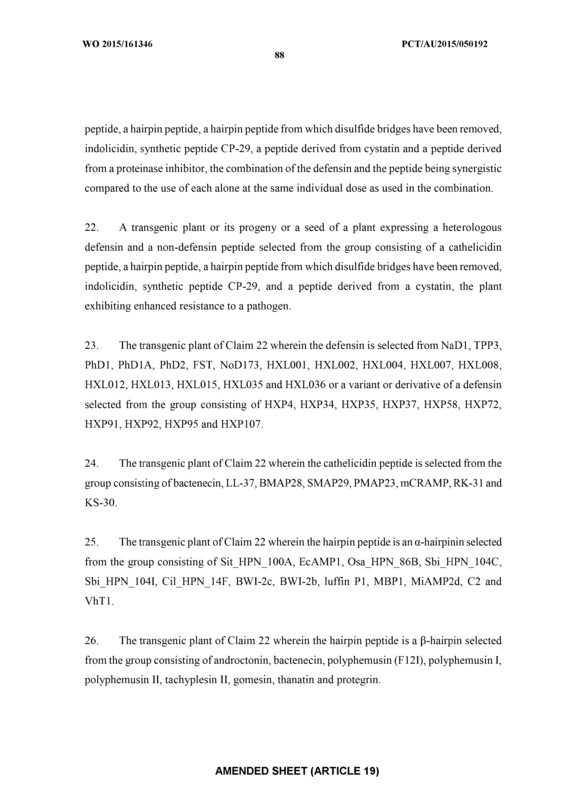 The method of Claim 9 wherein the peptide is a hairpin peptide. 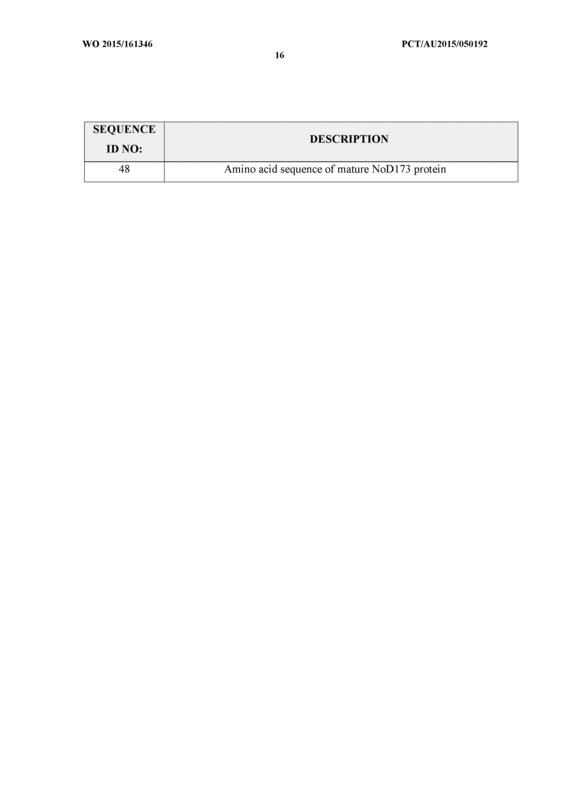 The method of Claim 12 wherein the hairpin peptide is an a-hairpinin selected from the list consisting of Sit HPN IOOA, EcAMPl, Osa_HPN_86B, Sbi_HPN_104C, Sbi_HPN_104I, Cil_HPN_14F, BWI-2c, BWI-2b, luffin PI, MBPl, MiAMP2d, C2 and VhTl . 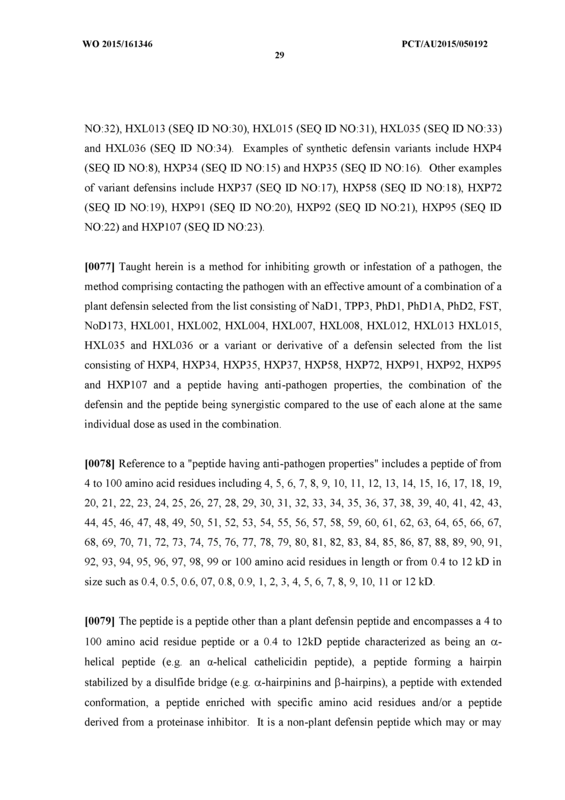 The method of Claim 12 wherein the hairpin peptide is a β-hairpin selected from the list consisting of androctonin, bactenecin, polyphemusin (F12I), polyphemusin I, polyphemusin II, tachyplesin II, gomesin, thanatin and protegrin. 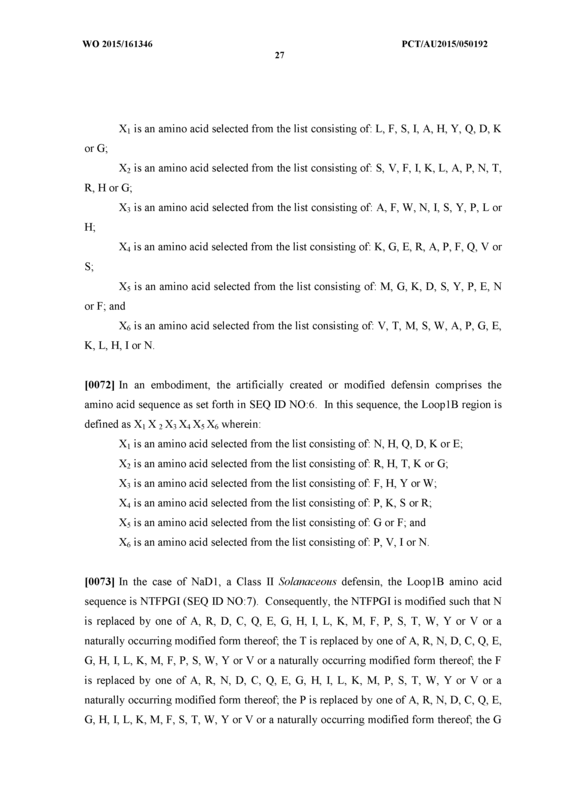 The method of Claim 9 wherein the peptide with the stabilizing disulphide bridges removed is Bac2A or EcAMP4A. 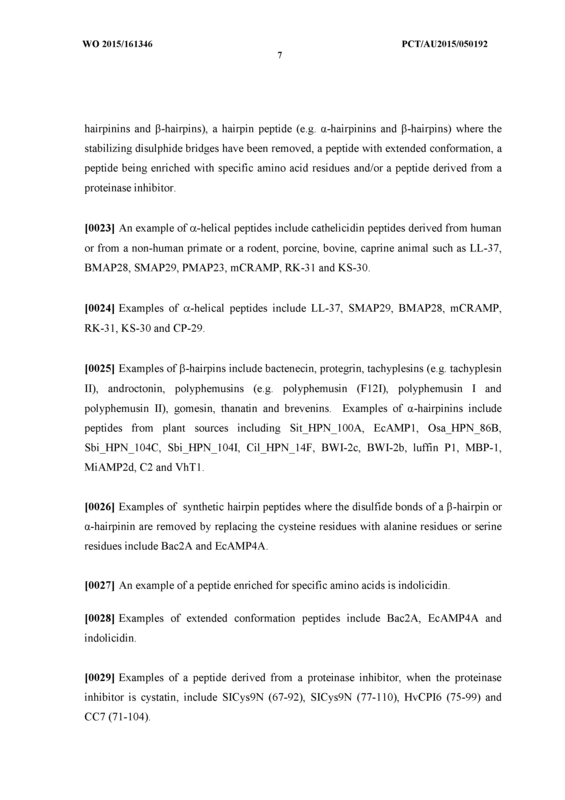 The method of Claim 9 wherein the peptide is derived from a proteinase inhibitor selected from the list consisting of SlCys9N(67-92), SlCys9N(77-110), HvCPI6(75-99), and CC7(71-104). 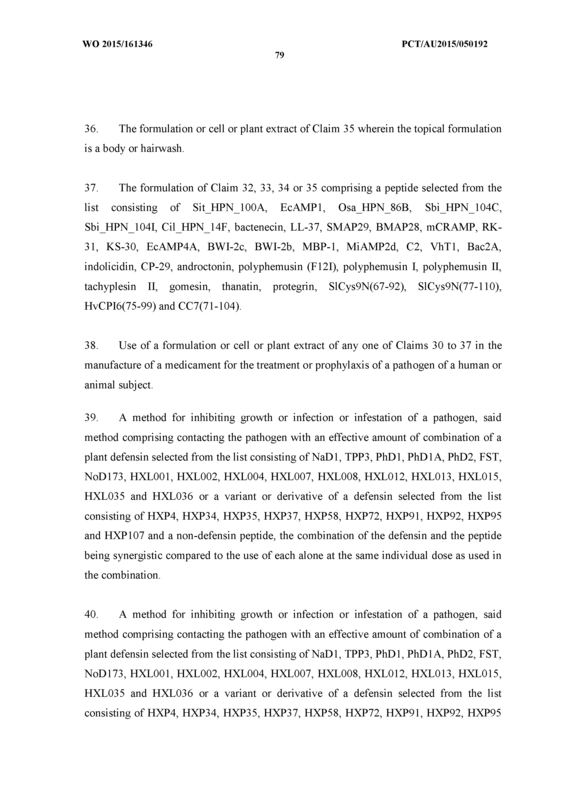 The method of Claim 9 wherein the peptide is indolicidan enriched for specific amino acids. 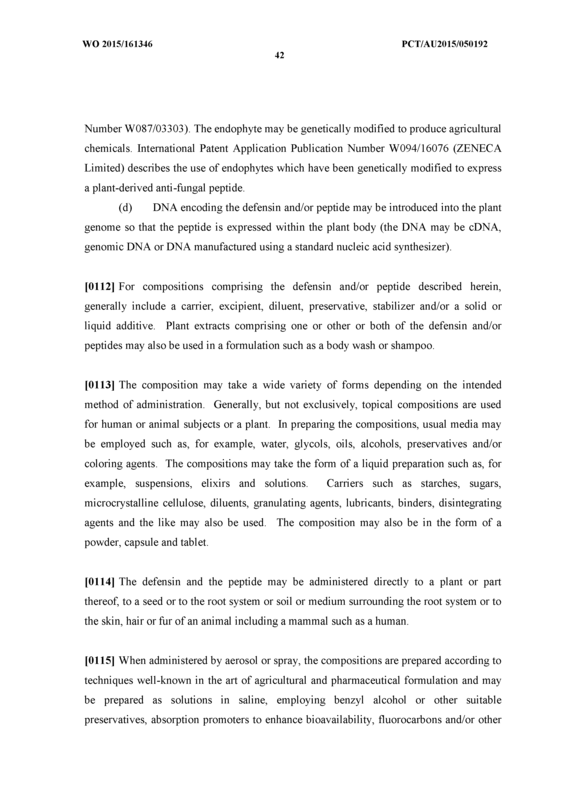 The method of Claim 9 wherein the peptide is synthetic peptide CP-29. 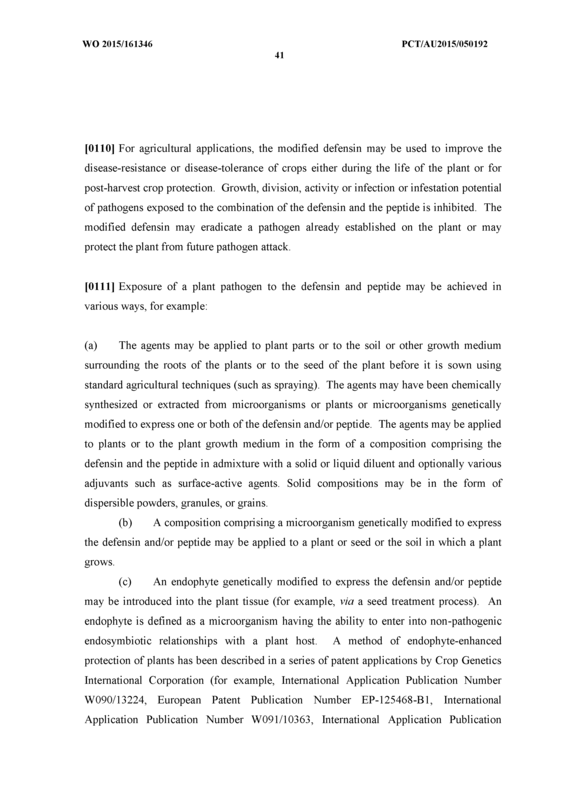 The method of Claim 1 wherein the pathogen is a plant pathogen. 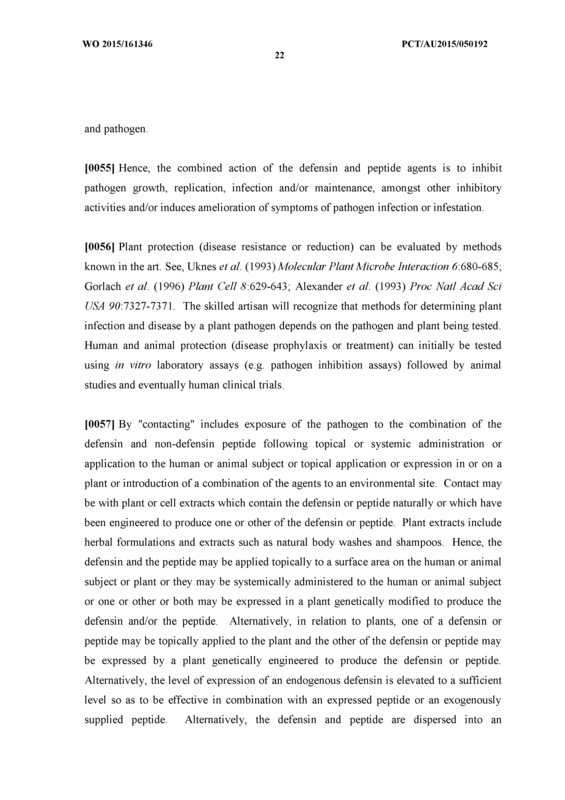 The method of Claim 1 wherein the pathogen is an animal or human pathogen. 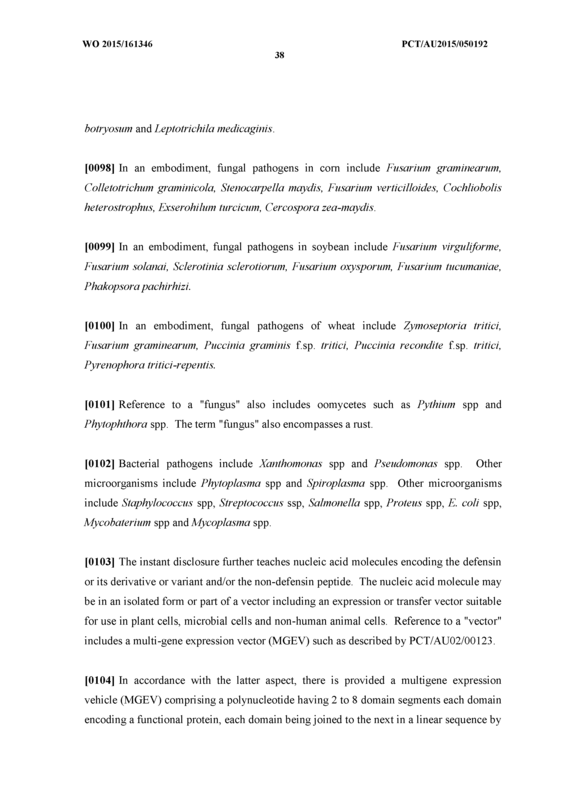 The method of Claim 19 or 20 wherein the pathogen is selected from the list consisting of a fungal and a microbial pathogen. 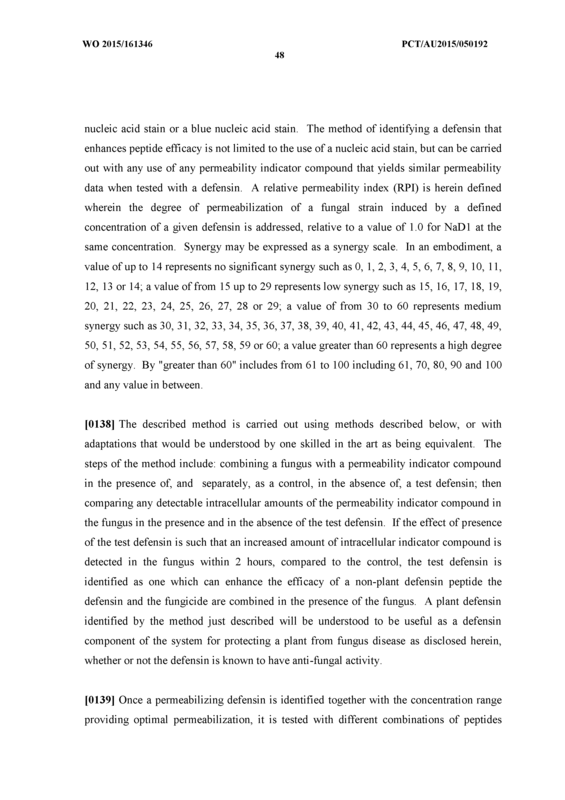 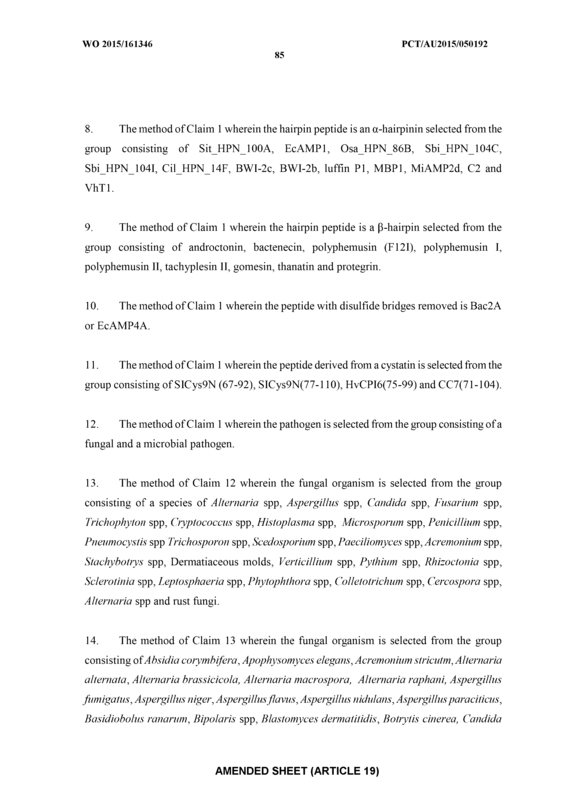 The method of Claim 10 wherein the pathogen is a fungal organism. 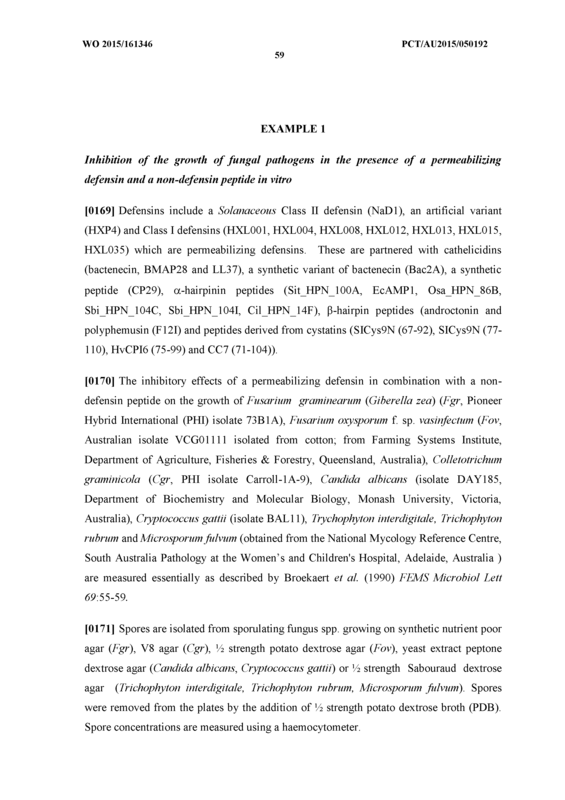 The method of Claim 21 wherein the fungal organism is selected from the list consisting of a species of Alternaeria spp, Aspergillus spp, Candida spp, Fusarium spp, Trichophyton spp, Cryptococcus spp, Histoplasma spp, Microsporum spp, Penicillium spp, Pneumocystis spp Trichosporon spp, Scedosporium spp, Paeciliomyces spp, Acremonium spp, Stachybotrys spp and Dermatiaceous molds. 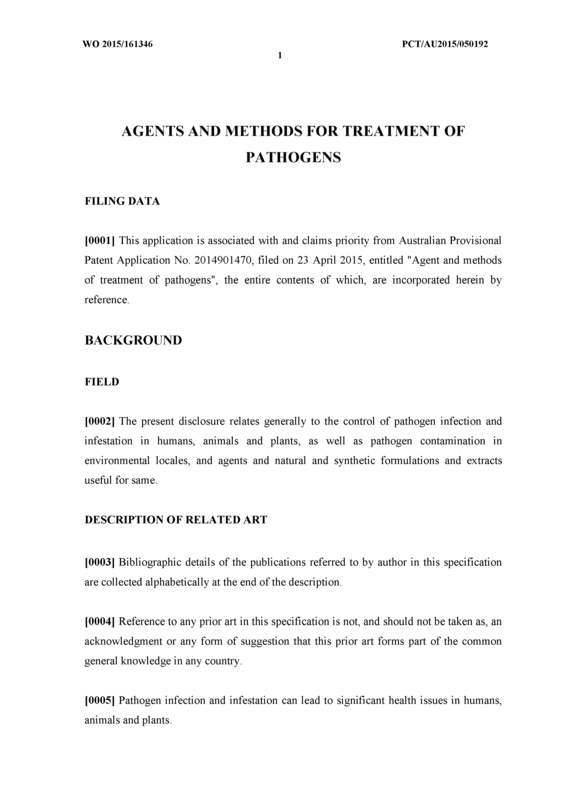 The method of Claim 22 wherein the fungal organism is selected from the list consisting of Alternaria alternata, Aspergillus fumigatus, Aspergillus niger, Aspergillus flavus, Aspergillus nidulans, Aspergillus paraciticus, Candida albicans, Candida dubliniensis, Candida famata, Candida glabrata, Candida guilliermondii, Candida haemulonii, Candida kejyr, Candida krusei, Candida lusitaniae, Candida norvegensis, Candida parapsilosis, Candida tropicalis, Candida viswanathii, Epidermophyton floccosum, Fusarium oxysporum, Fusarium solani, Fusarium monoliforme, Trychophyton rubrum, Trychophyton mentagrophytes, Trychophyton inter digitales, Trychophyton tonsurans, Cryptococcus neoformans, Cryptococcus gattii, Cryptococcus grubii, Microsporum canis, Microsporum gypseum, Penicillium marneffei, Tricosporon beigelii, Trichosporon asahii, Trichosporon inkin, Trichosporon asteroides, Trichosporon cutaneum, Trichosporon domesticum, Trichosporon mucoides, Trichosporon ovoides, Trichosporon pullulans, Trichosporon loubieri, Trichosporon japonicum, Scedosporium apiospermum, Scedosporium prolifwans, Paecilomyces variotii, Paecilomyces lilacinus, Acremonium stricutm, Cladophialophora bantiana, Wangle lla dermatitidis, Ramichloridium obovoideum, Chaetomium atrobrunneum, Dactlaria gallopavum, Bipolaris spp, Exserohilum rostratum as well as Absidia corymbifera, Apophysomyces elegans, Mucor indicus, Rhizomucor pusillus, Rhizopus oryzae, Cunninghamella bertholletiae, Cokeromyces recurvatus, Saksenaea vasiformis, Syncephalastrum racemosum, Basidiobolus ranarum, Conidiobolus coronatuslConidiobolus incongruus, Blastomyces dermatitidis, Coccidioides immitis, Coccidioides posadasii, Histoplasma capsulatum, Paracoccidioides brasiliensis, Pseudallescheria boydii and Sporothrix schenckii. 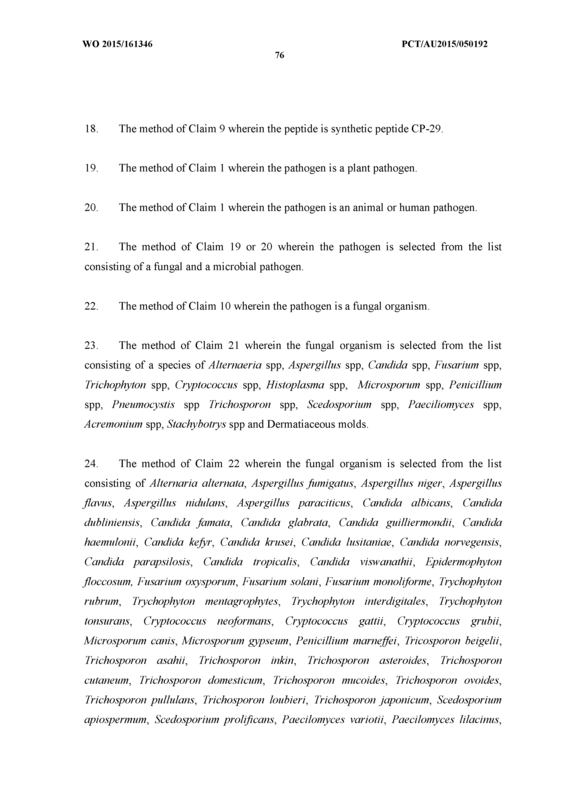 The method of Claim 22 wherein the fungal organism is selected from the list of a species of Fusarium, Verticillium, Pythium, Rhizoctonia, Sclerotinia, Leptosphaeria, Phytophthora, Colletotrichum, Cercospora, Alternaria and rust fungi. 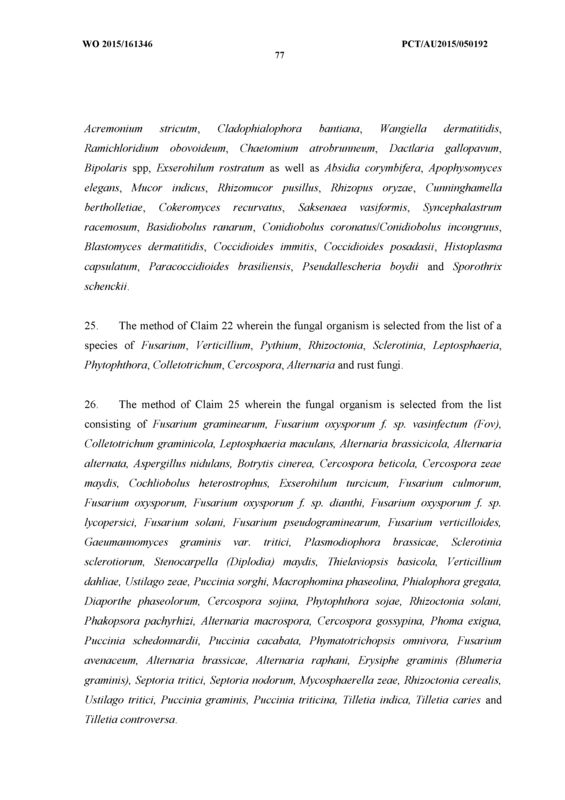 The method of Claim 25 wherein the fungal organism is selected from the list consisting of Fusarium graminearum, Fusarium oxysporum f. sp. 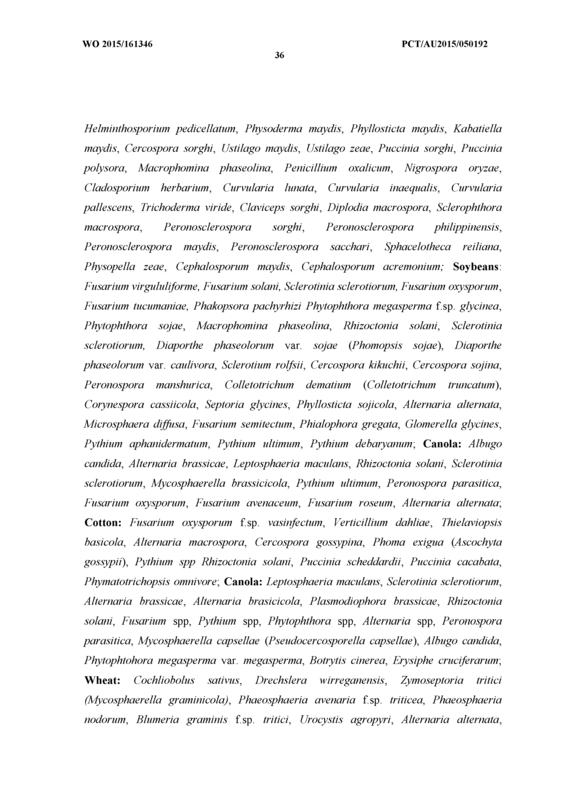 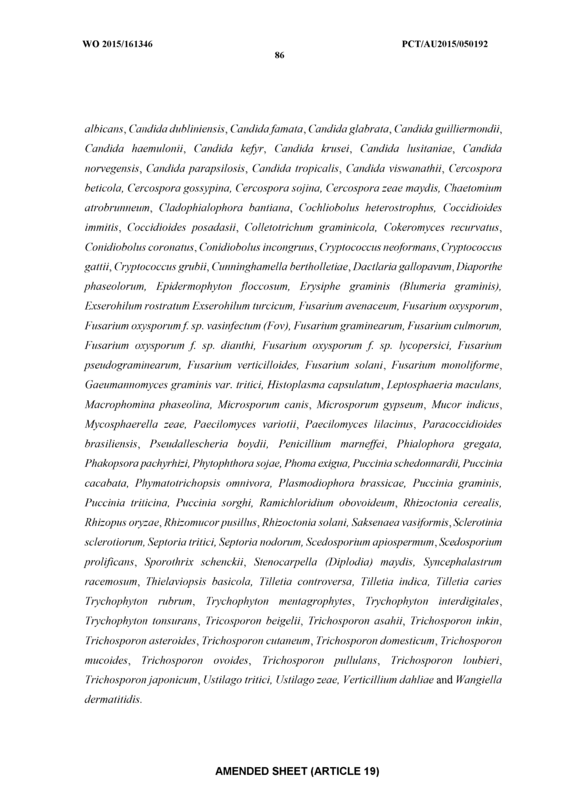 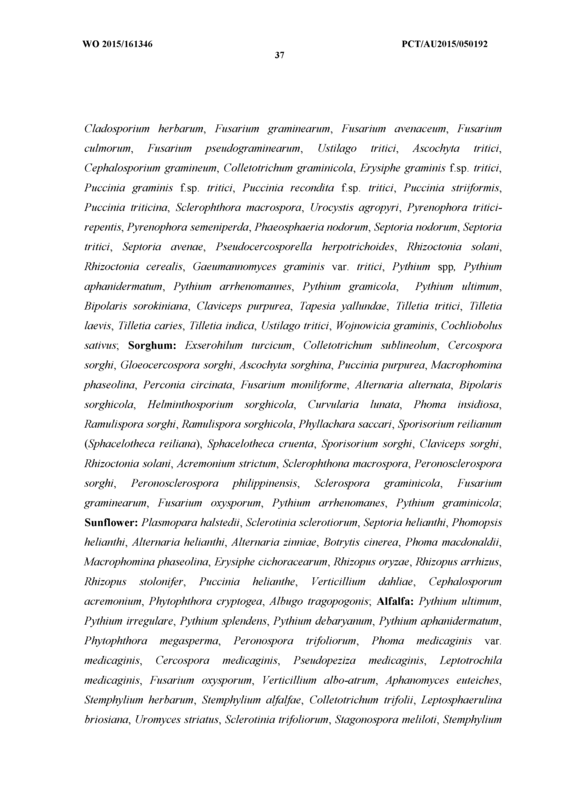 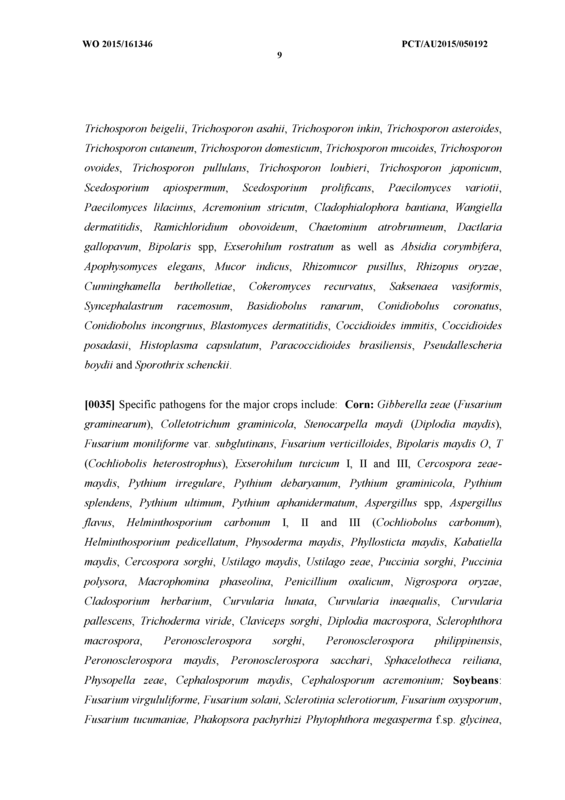 vasinfectum (Fov), Colletotrichum graminicola, Leptosphaeria maculans, Alternaria brassicicola, Alternaria alternata, Aspergillus nidulans, Botrytis cinerea, Cercospora beticola, Cercospora zeae maydis, Cochliobolus heterostrophus, Exserohilum turcicum, Fusarium culmorum, Fusarium oxysporum, Fusarium oxysporum f. sp. 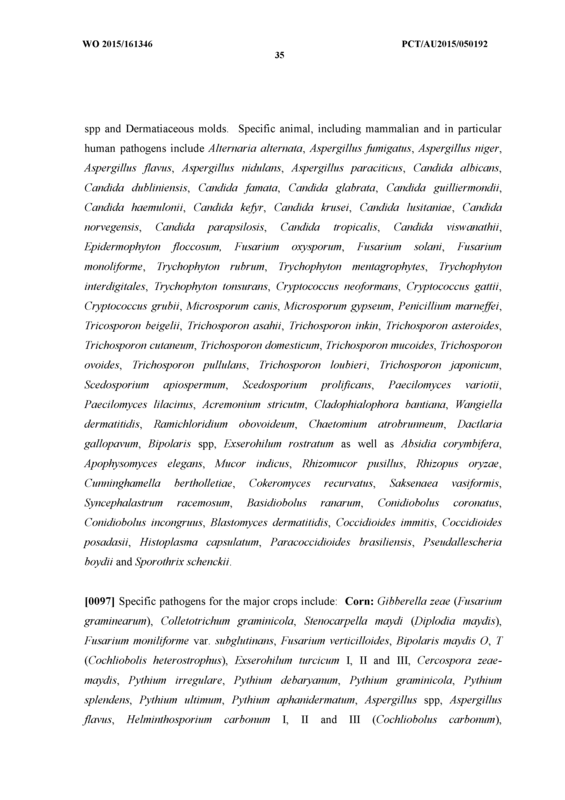 dianthi, Fusarium oxysporum f. sp. 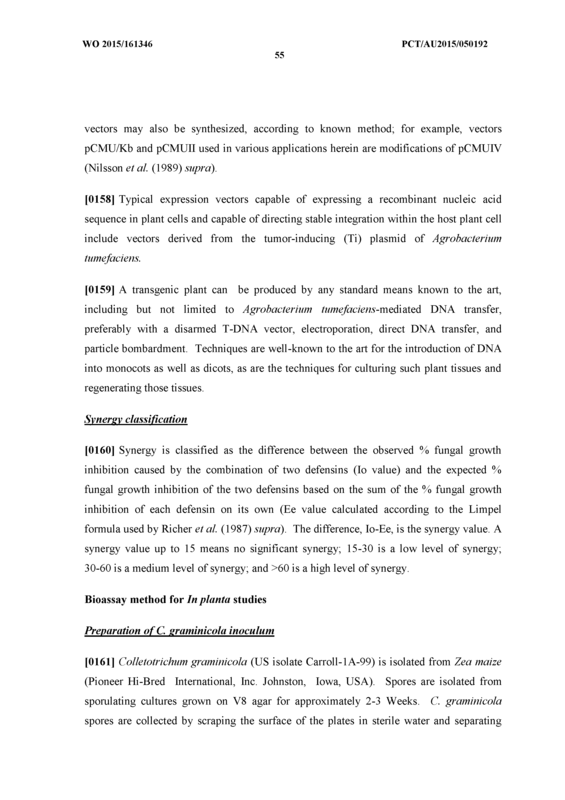 lycopersici, Fusarium solani, Fusarium pseudograminearum, Fusarium verticilloides, Gaeumannomyces graminis var. 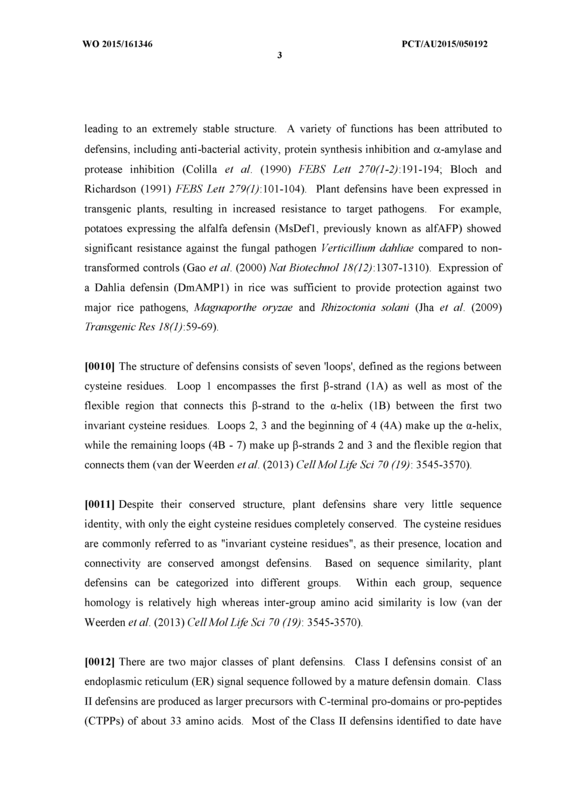 tritici, Plasmodiophora brassicae, Sclerotinia sclerotiorum, Stenocarpella (Diplodia) maydis, Thielaviopsis basicola, Verticillium dahliae, Ustilago zeae, Puccinia sorghi, Macrophomina phaseolina, Phialophora gregata, Diaporthe phaseolorum, Cercospora sojina, Phytophthora sojae, Rhizoctonia solani, Phakopsora pachyrhizi, Alternaria macrospora, Cercospora gossypina, Phoma exigua, Puccinia schedonnardii, Puccinia cacabata, Phymatotrichopsis omnivora, Fusarium avenaceum, Alternaria brassicae, Alternaria raphani, Erysiphe graminis (Blumeria graminis), Septoria tritici, Septoria nodorum, Mycosphaerella zeae, Rhizoctonia cerealis, Ustilago tritici, Puccinia graminis, Puccinia triticina, Tilletia indica, Tilletia caries and Tilletia controversa. 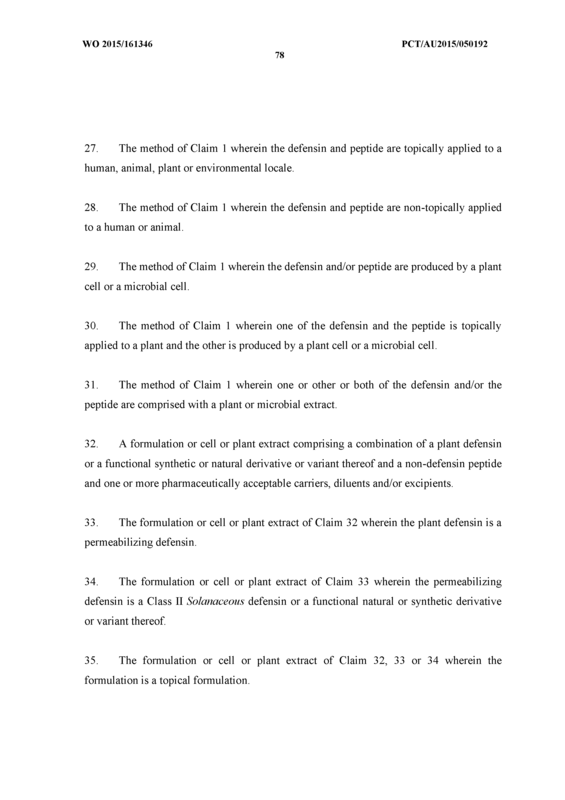 The method of Claim 1 wherein the defensin and peptide are topically applied to a human, animal, plant or environmental locale. 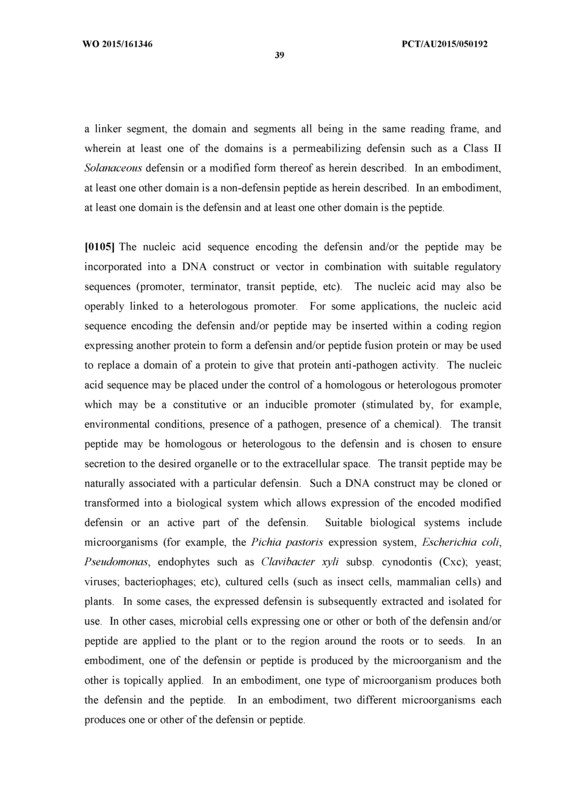 The method of Claim 1 wherein the defensin and peptide are non -topically applied to a human or animal. 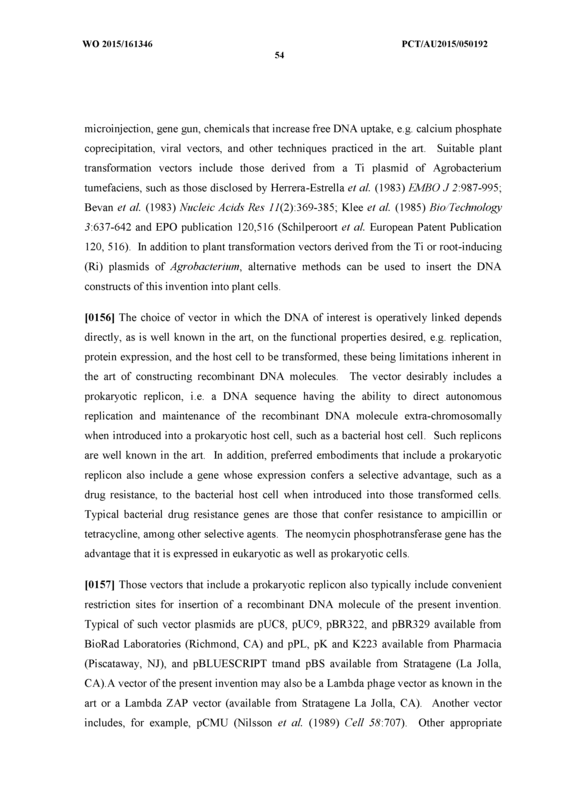 The method of Claim 1 wherein the defensin and/or peptide are produced by a plant cell or a microbial cell. 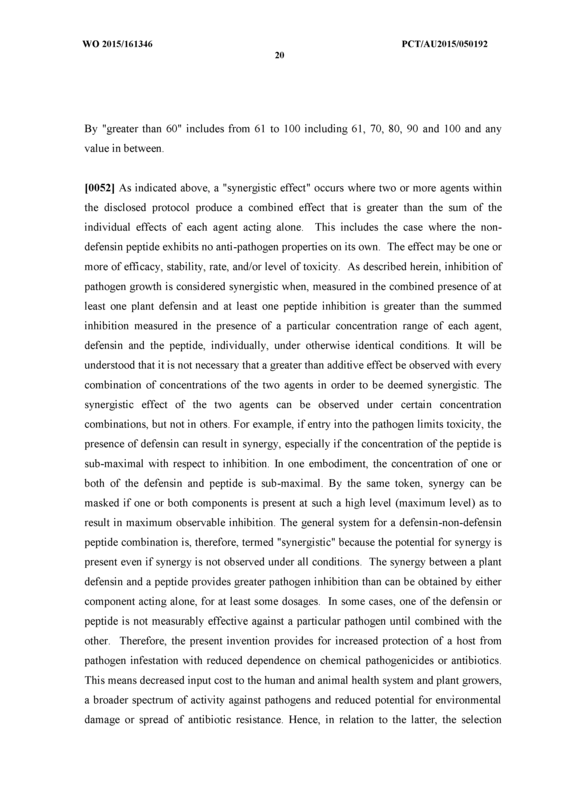 The method of Claim 1 wherein one of the defensin and the peptide is topically applied to a plant and the other is produced by a plant cell or a microbial cell. 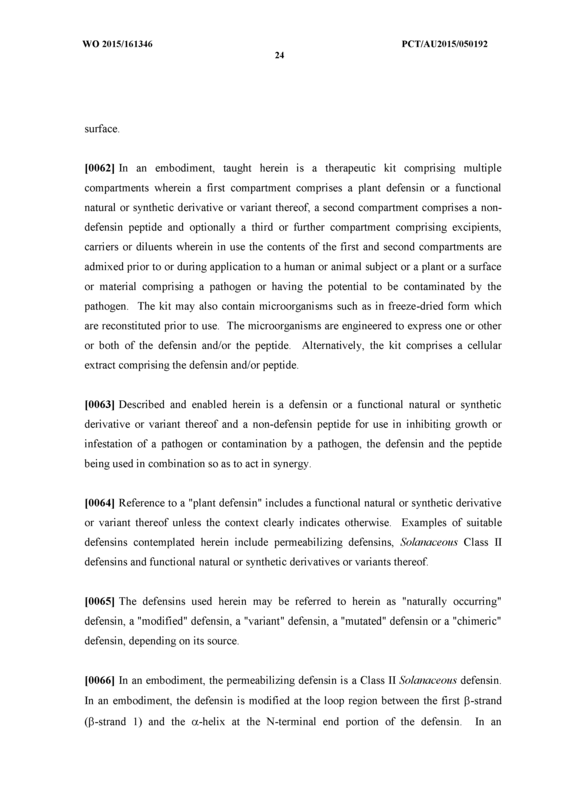 The method of Claim 1 wherein one or other or both of the defensin and/or the peptide are comprised with a plant or microbial extract. 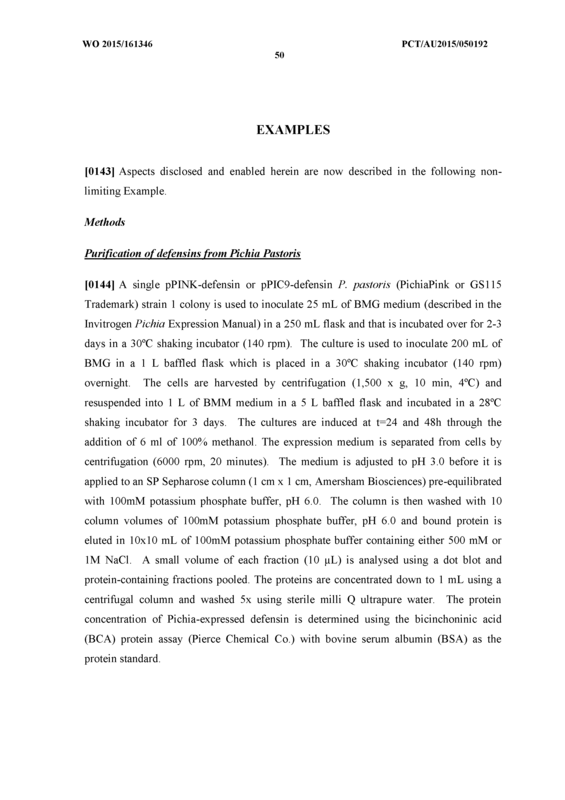 A formulation or cell or plant extract comprising a combination of a plant defensin or a functional synthetic or natural derivative or variant thereof and a non-defensin peptide and one or more pharmaceutically acceptable carriers, diluents and/or excipients. 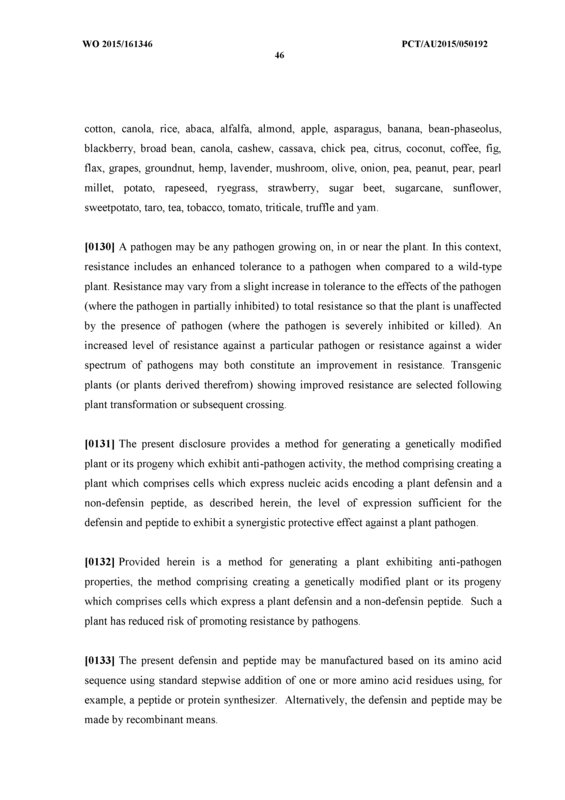 The formulation or cell or plant extract of Claim 32 wherein the plant defensin is a permeabilizing defensin. 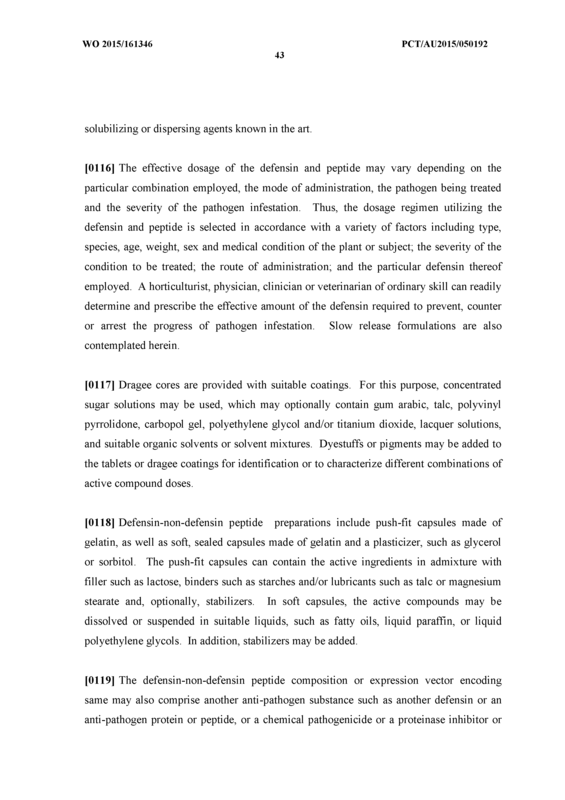 The formulation or cell or plant extract of Claim 33 wherein the permeabilizing defensin is a Class II Solanaceous defensin or a functional natural or synthetic derivative or variant thereof. 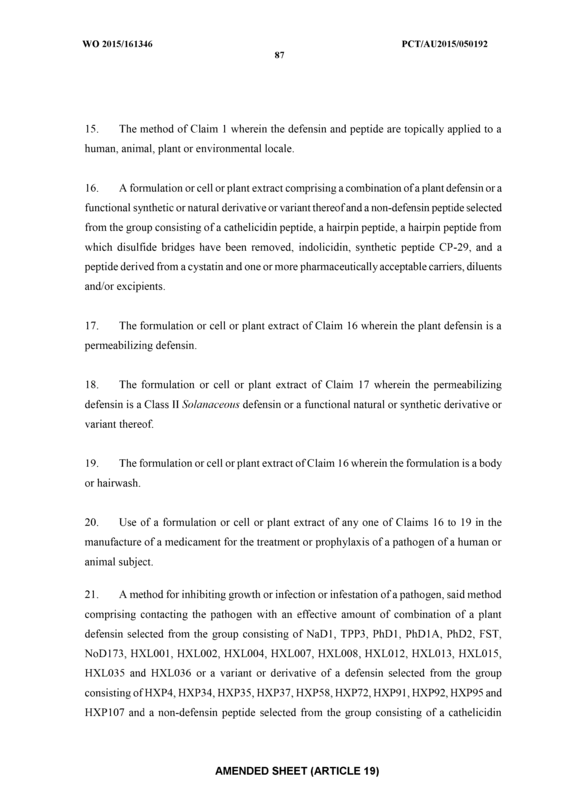 The formulation or cell or plant extract of Claim 32, 33 or 34 wherein the formulation is a topical formulation. 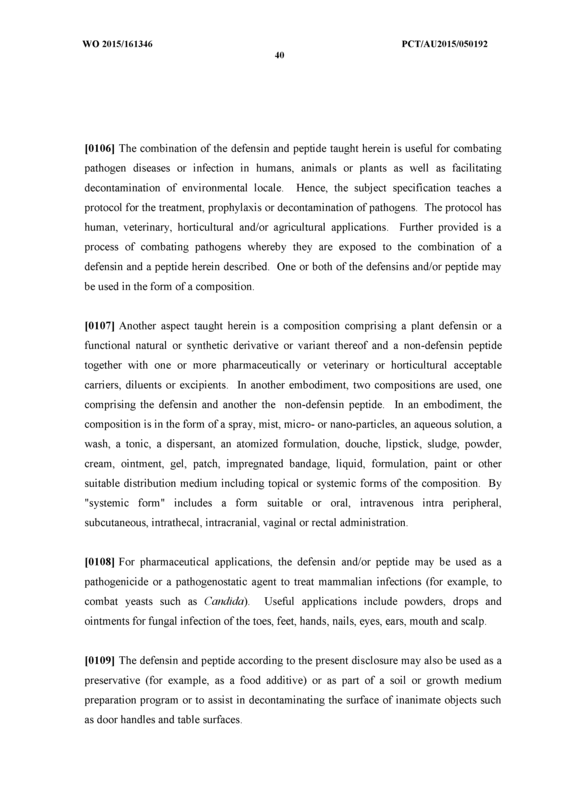 The formulation or cell or plant extract of Claim 35 wherein the topical formulation is a body or hairwash. 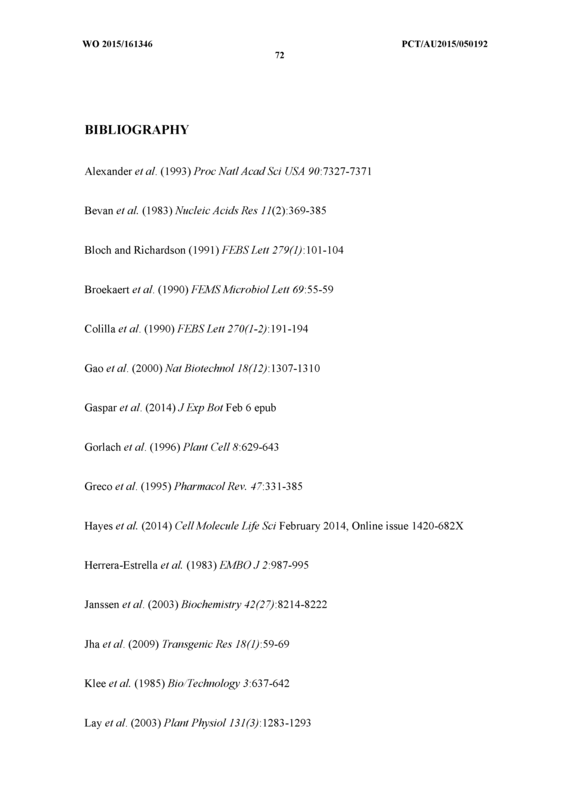 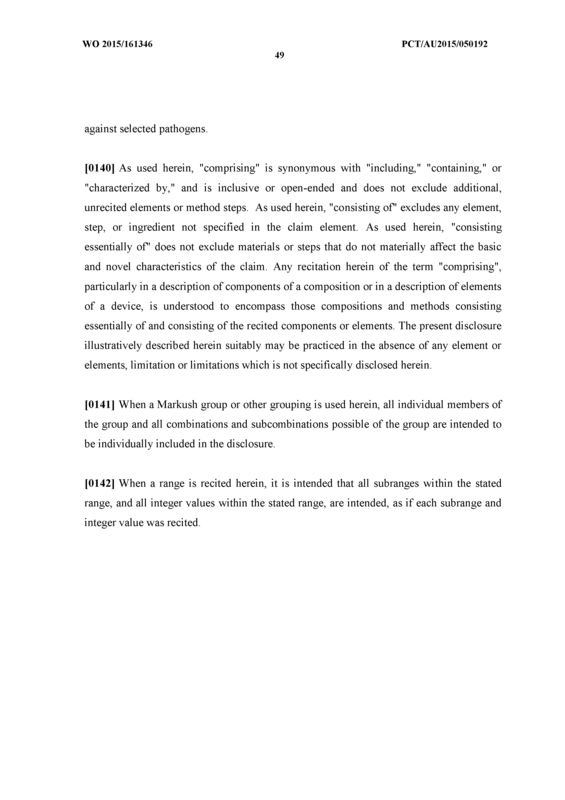 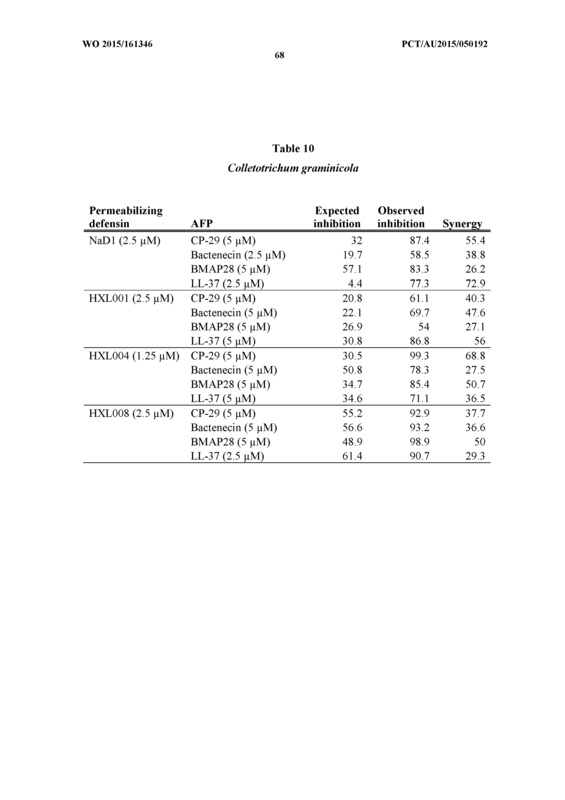 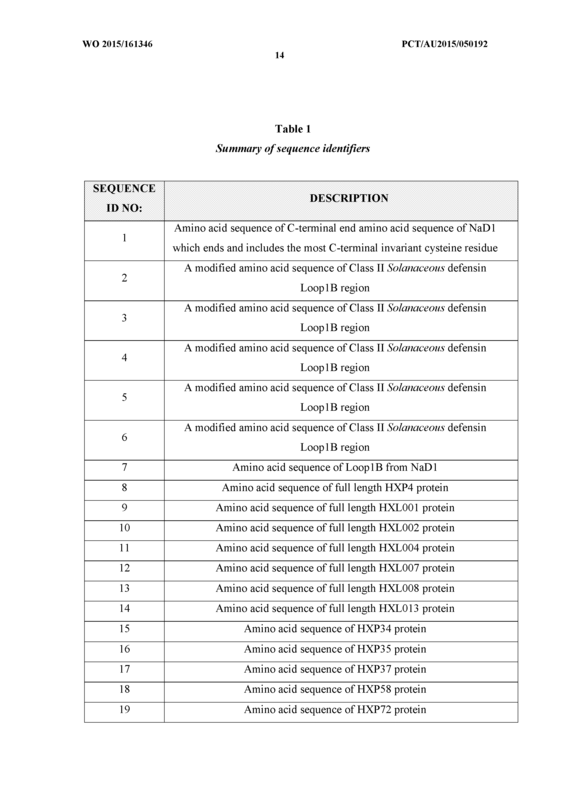 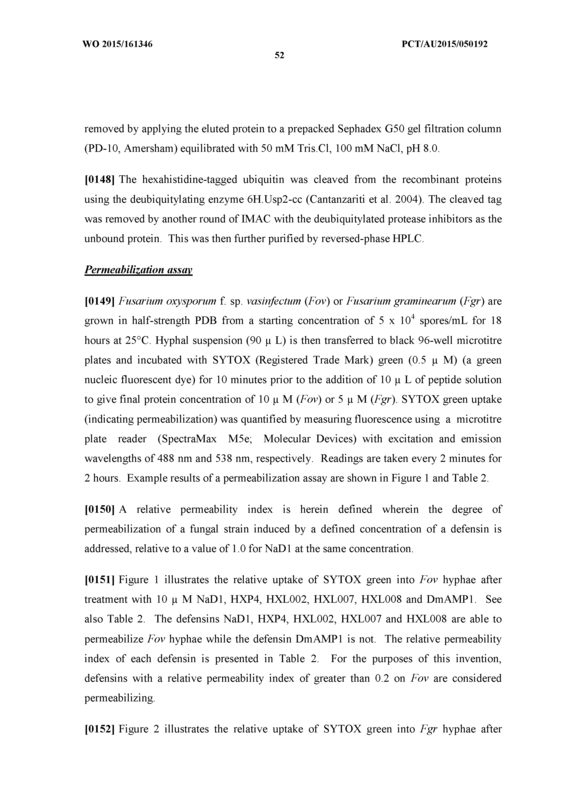 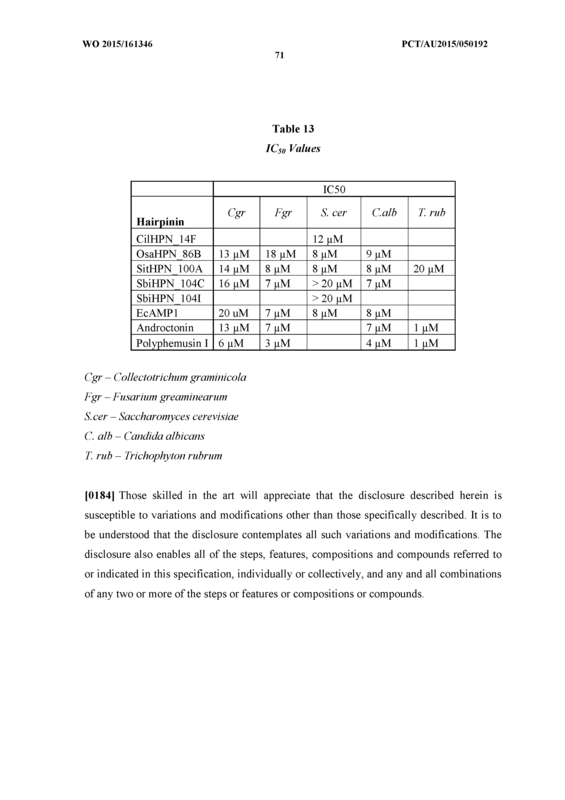 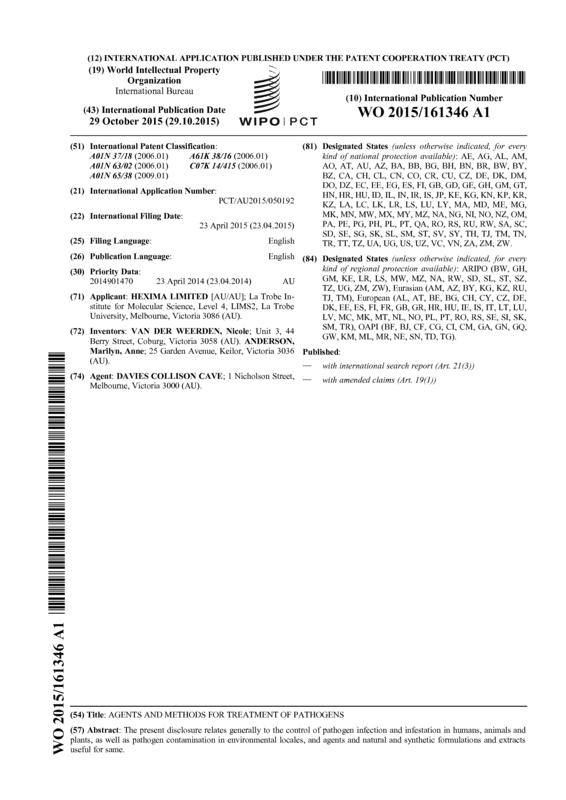 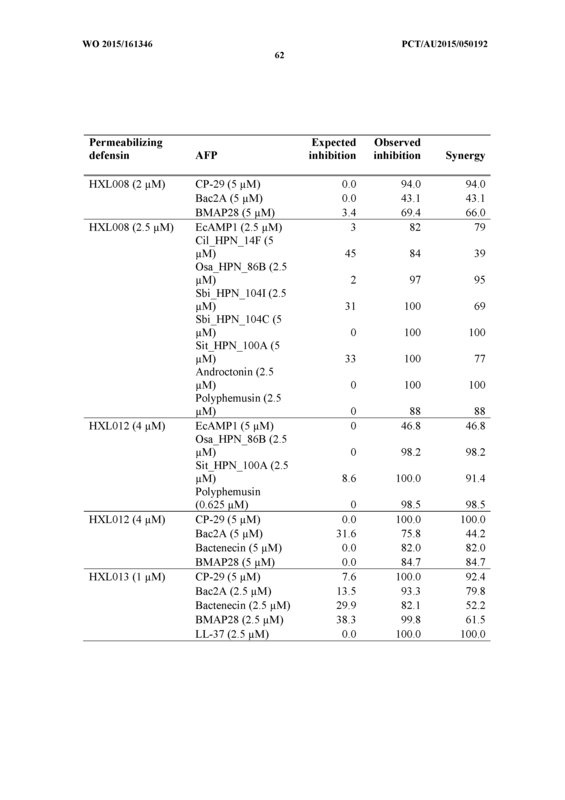 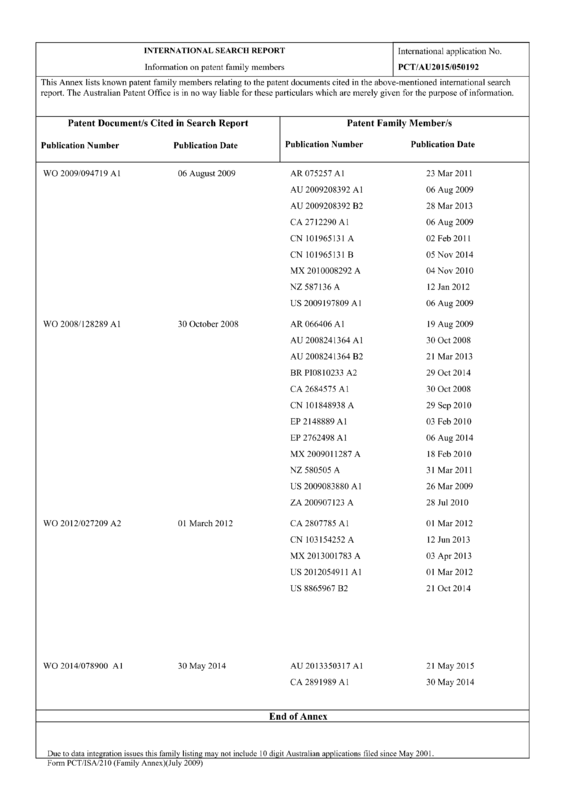 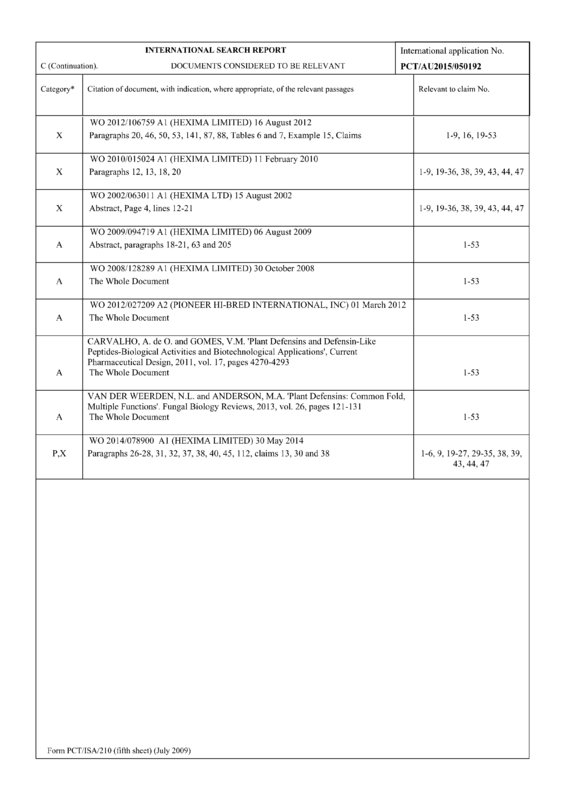 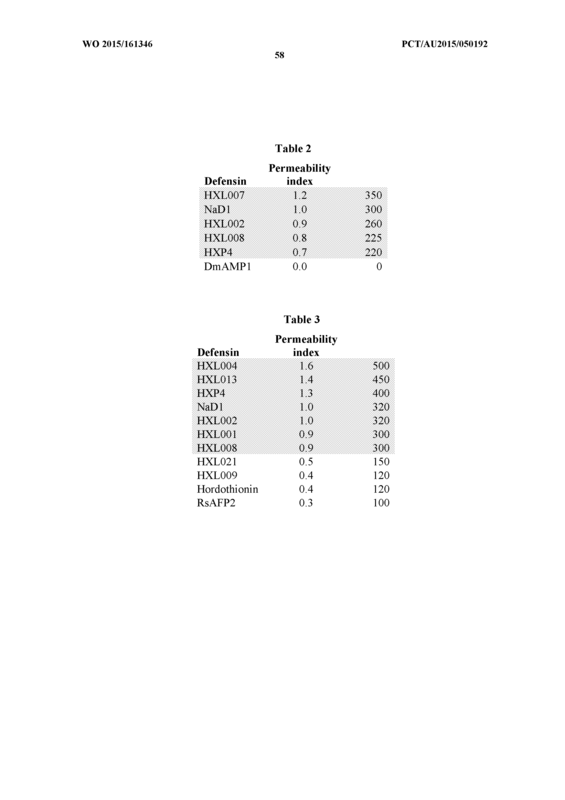 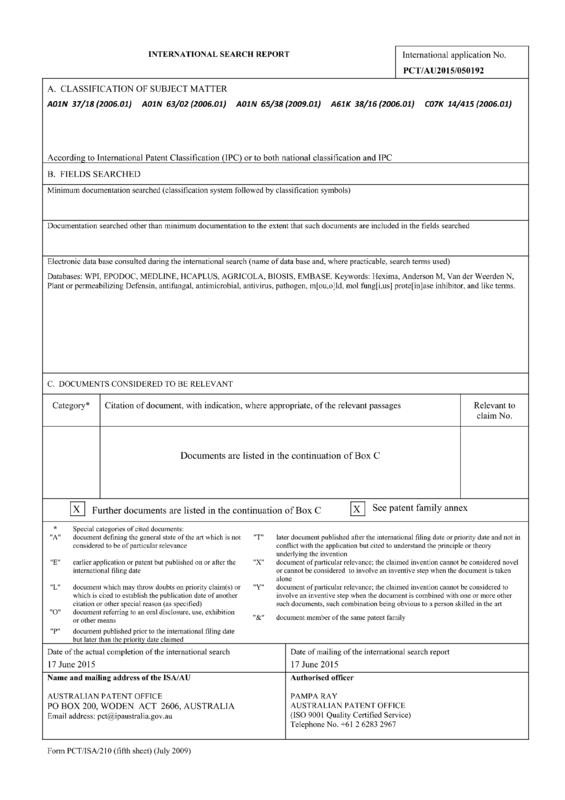 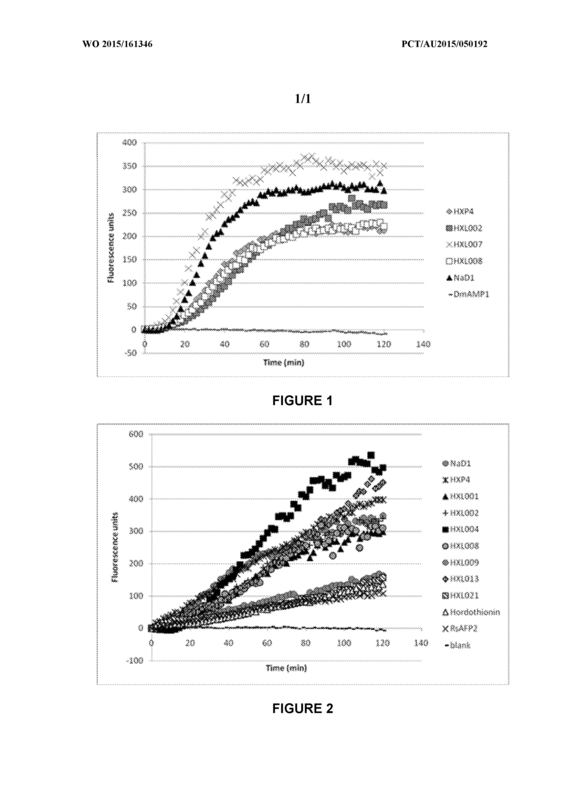 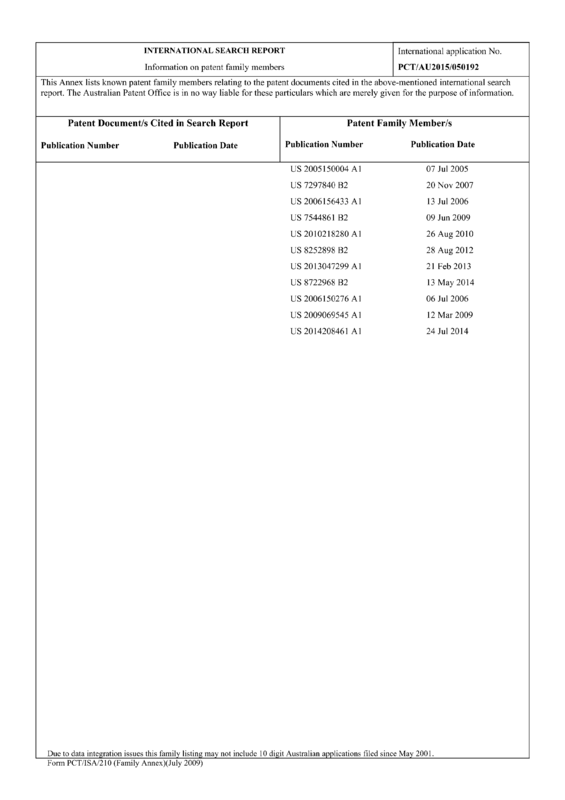 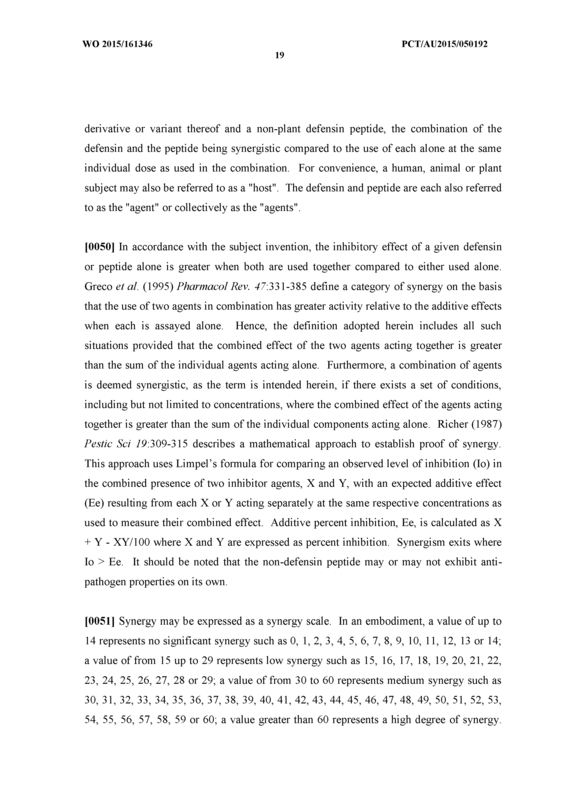 The formulation of Claim 32, 33, 34 or 35 comprising a peptide selected from the list consisting of Sit HPN IOOA, EcAMPl, Osa_HPN_86B, Sbi_HPN_104C, Sbi_HPN_104I, Cil_HPN_14F, bactenecin, LL-37, SMAP29, BMAP28, mCRAMP, RK- 31, KS-30, EcAMP4A, BWI-2c, BWI-2b, MBP-1, MiAMP2d, C2, VhTl, Bac2A, indolicidin, CP-29, androctonin, polyphemusin (F12I), polyphemusin I, polyphemusin II, tachyplesin II, gomesin, thanatin, protegrin, SlCys9N(67-92), SlCys9N(77-l 10), HvCPI6(75-99) and CC7(71-104). 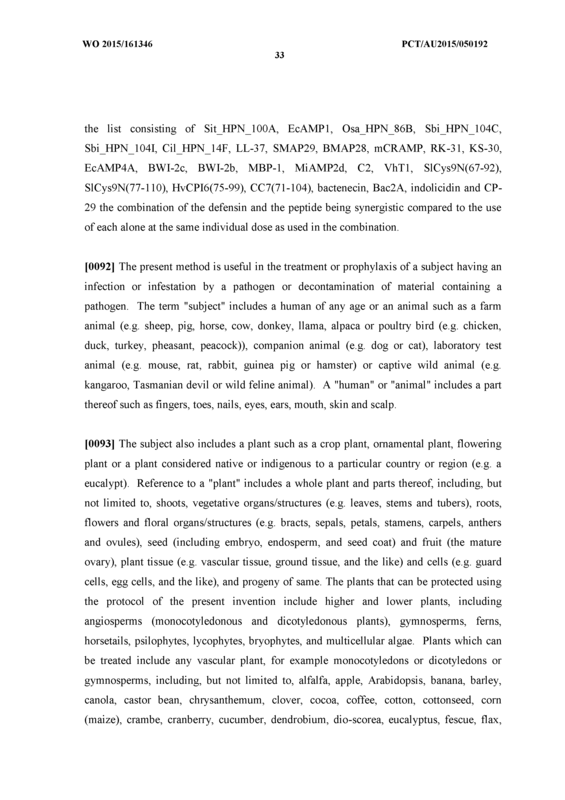 Use of a formulation or cell or plant extract of any one of Claims 30 to 37 in the manufacture of a medicament for the treatment or prophylaxis of a pathogen of a human or animal subject. 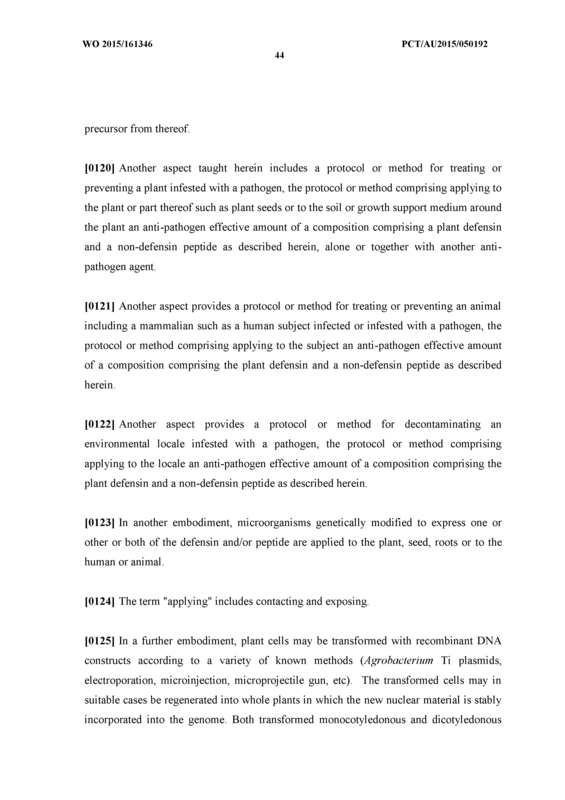 A method for inhibiting growth or infection or infestation of a pathogen, said method comprising contacting the pathogen with an effective amount of combination of a plant defensin selected from the list consisting of NaDl, TPP3, PhDl, PhDIA, PhD2, FST, NoD173, HXL001, HXL002, HXL004, HXL007, HXL008, HXL012, HXL013, HXL015, HXL035 and HXL036 or a variant or derivative of a defensin selected from the list consisting of HXP4, HXP34, HXP35, HXP37, HXP58, HXP72, HXP91, HXP92, HXP95 and HXP107 and a non-defensin peptide, the combination of the defensin and the peptide being synergistic compared to the use of each alone at the same individual dose as used in the combination. 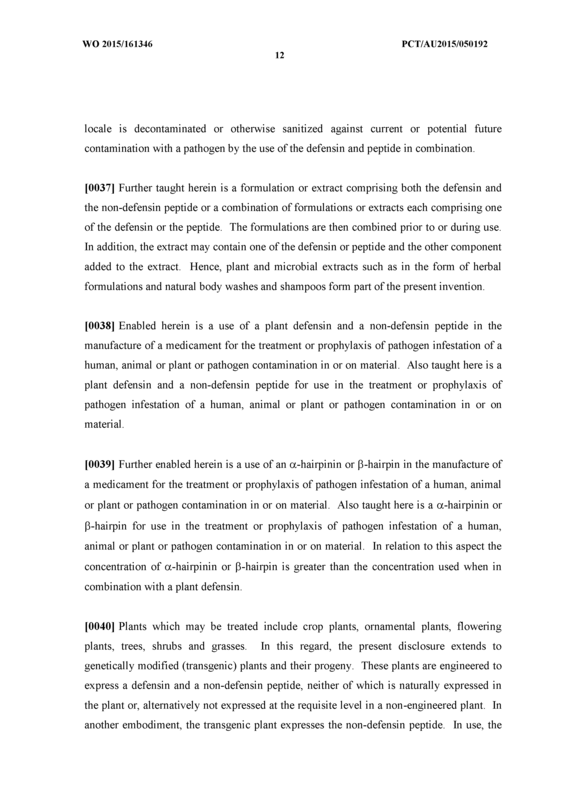 A method for inhibiting growth or infection or infestation of a pathogen, said method comprising contacting the pathogen with an effective amount of combination of a plant defensin selected from the list consisting of NaDl, TPP3, PhDl, PhDIA, PhD2, FST, NoD173, HXL001, HXL002, HXL004, HXL007, HXL008, HXL012, HXL013, HXL015, HXL035 and HXL036 or a variant or derivative of a defensin selected from the list consisting of HXP4, HXP34, HXP35, HXP37, HXP58, HXP72, HXP91, HXP92, HXP95 and HXP107 and a non-defensin peptide selected from the list consisting of Sit HPN IOOA, EcAMPl, Osa_HPN_86B, Sbi_HPN_104C, Sbi_HPN_104I, Cil_HPN_14F, bactenecin, LL-37, SMAP29, BMAP28, mCRAMP, RK-31, KS-30, EcAMP4A, BWI-2c, BWI-2b, MBP-1, MiAMP2d, C2, VhTl, Bac2A, indolicidin, CP-29, androctonin, polyphemusin (F12I), polyphemusin I, polyphemusin II, tachyplesin II, gomesin, thanatin, protegrin, SlCys9N(67-92), SlCys9N(77-l 10), HvCPI6(75-99) and CC7(71-104), the combination of the defensin and the peptide being synergistic compared to the use of each alone at the same individual dose as used in the combination. 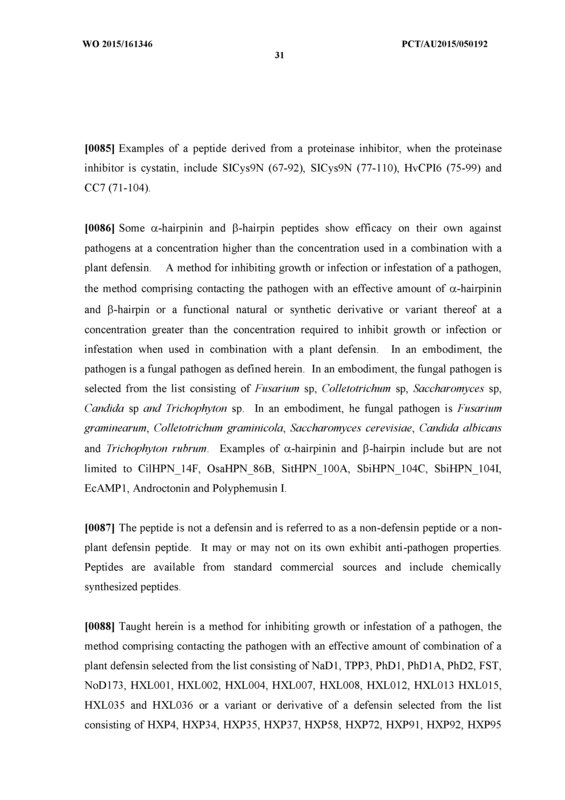 A method for inhibiting growth or infection or infestation of a fungal pathogen, said method comprising contacting the fungal pathogen with an effective amount of combination of a plant defensin selected from the list consisting of NaDl, TPP3, PhDl, PhDIA, PhD2, FST, NoD173, HXL001, HXL002, HXL004, HXL007, HXL008, HXL012, HXL013, HXL015, HXL035 and HXL036 or a variant or derivative of a defensin selected from the list consisting of HXP4, HXP34, HXP35, HXP37, HXP58, HXP72, HXP91, HXP92, HXP95 and HXP107 and a non-defensin peptide selected from the list consisting of Sit HPN IOOA, EcAMPl, Osa_HPN_86B, Sbi_HPN_104C, Sbi_HPN_104I, Cil_HPN_14F, bactenecin, LL-37, SMAP29, BMAP28, mCRAMP, RK-31, KS-30, EcAMP4A, BWI-2c, BWI-2b, MBP-1, MiAMP2d, C2, VhTl, Bac2A, indolicidin, CP-29, androctonin, polyphemusin (F12I), polyphemusin I, polyphemusin II, tachyplesin II, gomesin, thanatin, protegrin, SlCys9N(67-92), SlCys9N(77-l 10), HvCPI6(75-99) and CC7(71-104), the combination of the defensin and the peptide being synergistic compared to the use of each alone at the same individual dose as used in the combination. 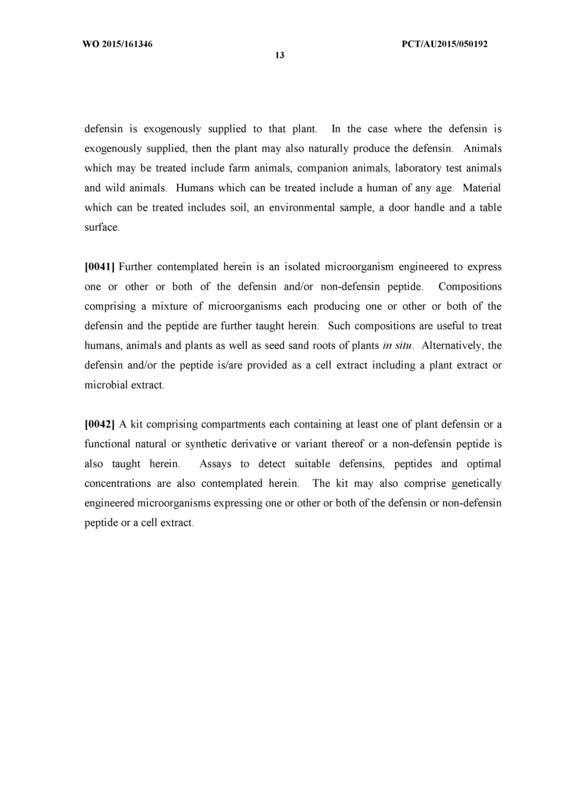 A method for inhibiting growth or infection or infestation of a microbial pathogen, said method comprising contacting the microbial pathogen with an effective amount of combination of a plant defensin selected from the list consisting of NaDl, TPP3, PhDl, PhDIA, PhD2, FST, NoD173, HXL001, HXL002, HXL004, HXL007, HXL008, HXL012, HXL013, HXL015, HXL035 and HXL036 or a variant or derivative of a defensin selected from the list consisting of HXP4, HXP34, HXP35, HXP37, HXP58, HXP72, HXP91, HXP92, HXP95 and HXP107 and a non-defensin peptide selected from the list consisting of Sit HPN IOOA, EcAMPl, Osa_HPN_86B, Sbi_HPN_104C, Sbi_HPN_104I, Cil_HPN_14F, bactenecin, LL-37, SMAP29, BMAP28, mCRAMP, RK-31, KS-30, EcAMP4A, EcAMPl, BWI-2c, BWI-2b, MBP-1, MiAMP2d, C2, VhTl, Bac2A, indolicidin, CP-29, androctonin, polyphemusin (F12I), polyphemusin I, polyphemusin II, tachyplesin II, gomesin, thanatin, protegrin, SlCys9N(67-92), SlCys9N(77-l 10), HvCPI6(75-99) and CC7(71-104), the combination of the defensin and the peptide being synergistic compared to the use of each alone at the same individual dose as used in the combination. 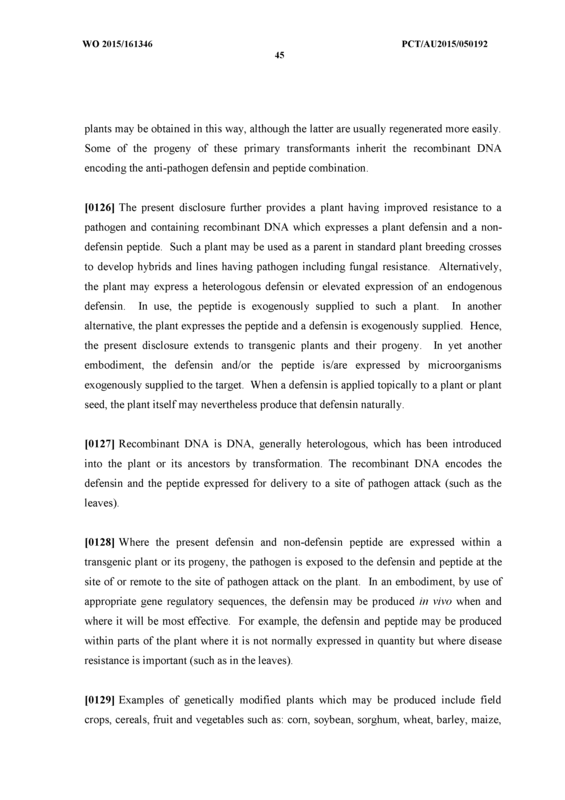 A transgenic plant or its progeny or a seed of a plant expressing a heterologous defensin and a non-peptide peptide, the plant exhibiting enhanced resistance to a pathogen. 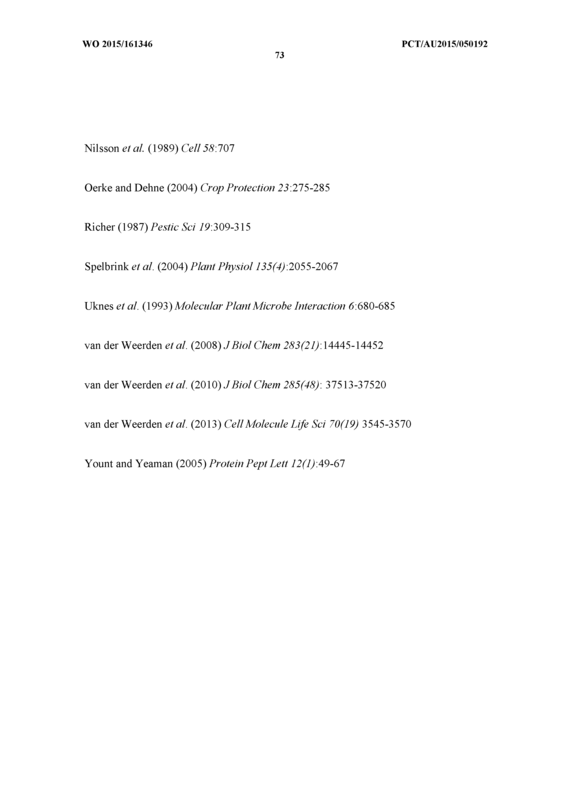 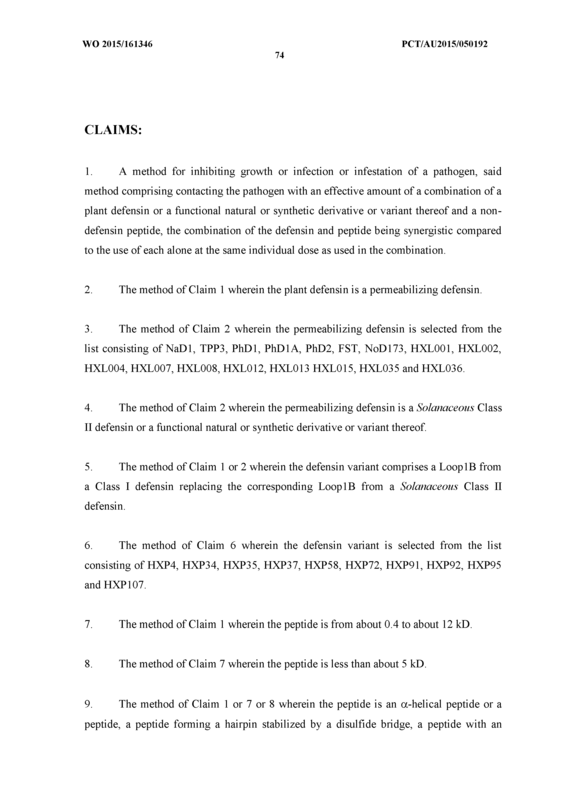 The transgenic plant of Claim 42 wherein the defensin is selected from NaDl, TPP3, PhDl, PhDIA, PhD2, FST, NoD173, HXL001, HXL002, HXL004, HXL007, HXL008, HXL012, HXL013, HXL015, HXL035 and HXL036 or a variant or derivative of a defensin selected from the list consisting of HXP4, HXP34, HXP35, HXP37, HXP58, HXP72, HXP91, HXP92, HXP95 and HXP107. 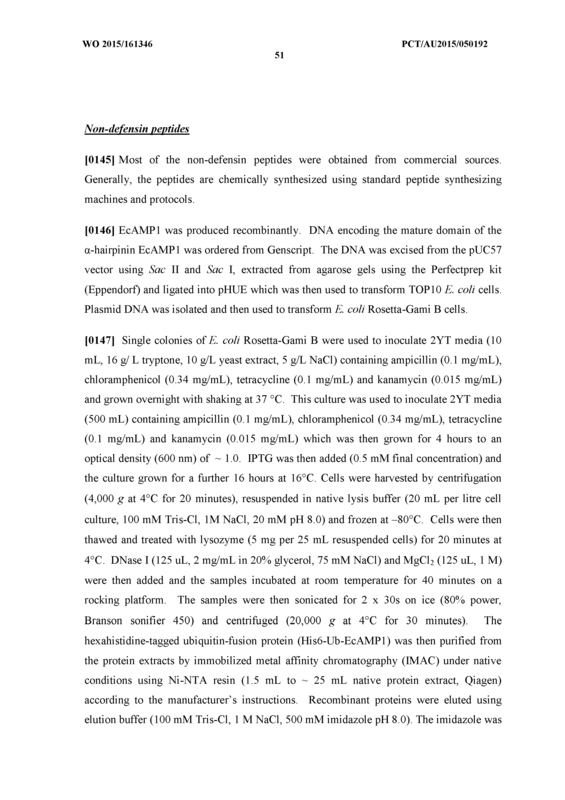 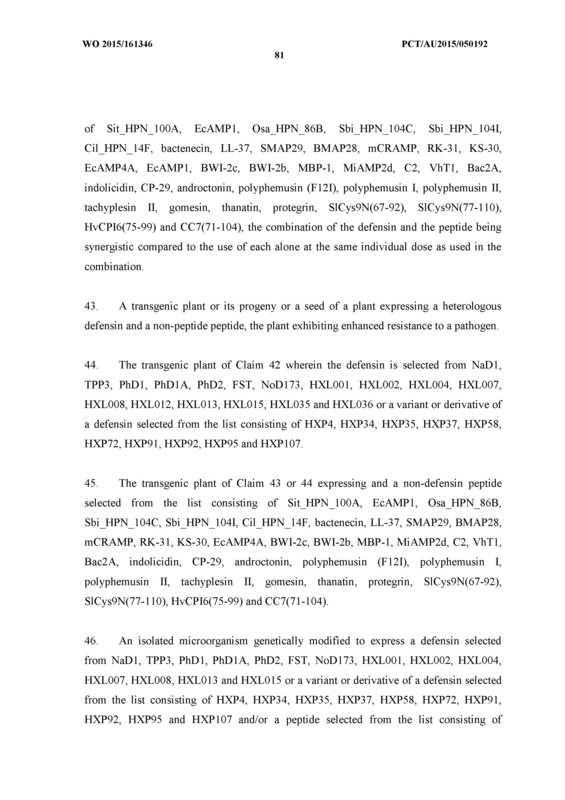 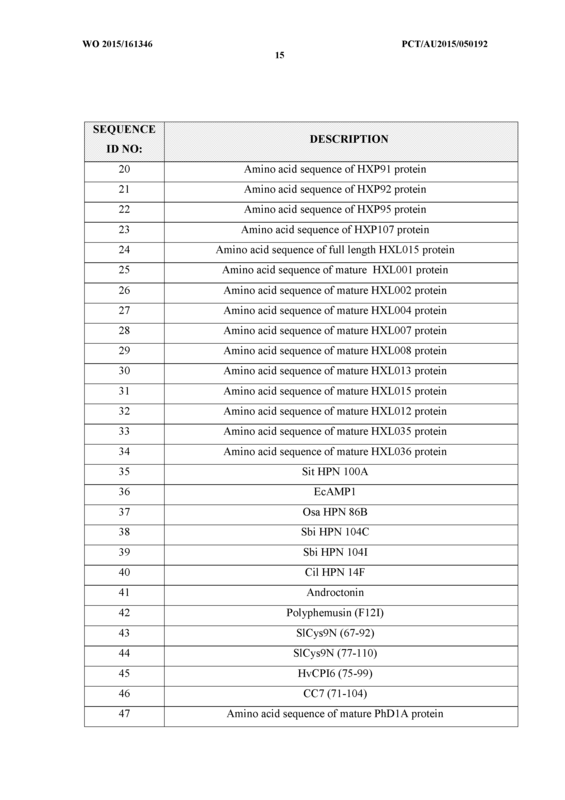 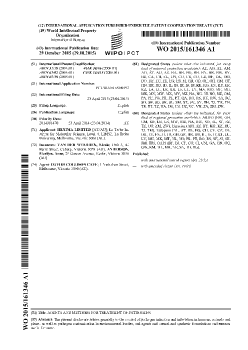 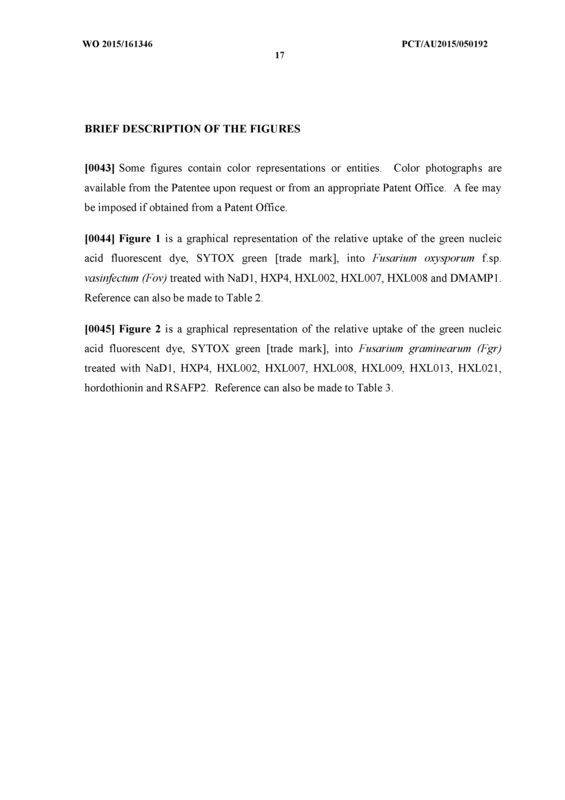 The transgenic plant of Claim 43 or 44 expressing and a non-defensin peptide selected from the list consisting of Sit HPN IOOA, EcAMPl, Osa_HPN_86B, Sbi_HPN_104C, Sbi_HPN_104I, Cil_HPN_14F, bactenecin, LL-37, SMAP29, BMAP28, mCRAMP, RK-31, KS-30, EcAMP4A, BWI-2c, BWI-2b, MBP-1, MiAMP2d, C2, VhTl, Bac2A, indolicidin, CP-29, androctonin, polyphemusin (F12I), polyphemusin I, polyphemusin II, tachyplesin II, gomesin, thanatin, protegrin, SlCys9N(67-92), SlCys9N(77-110), HvCPI6(75-99) and CC7(71-104). 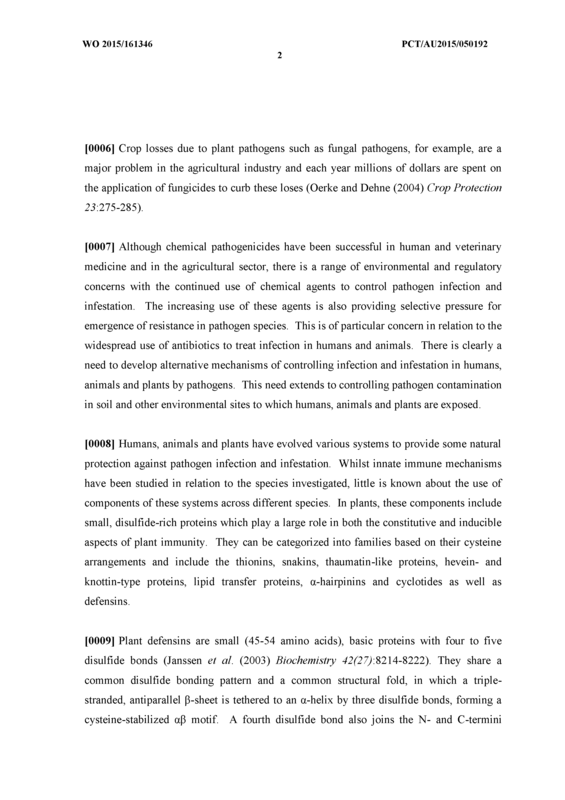 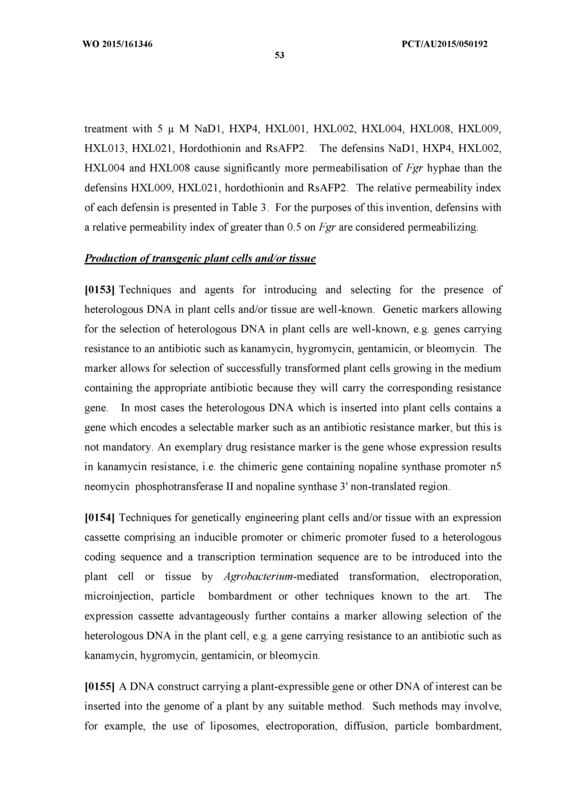 An isolated microorganism genetically modified to express a defensin selected from NaDl, TPP3, PhDl, PhDIA, PhD2, FST, NoD173, HXL001, HXL002, HXL004, HXL007, HXL008, HXL013 and HXL015 or a variant or derivative of a defensin selected from the list consisting of HXP4, HXP34, HXP35, HXP37, HXP58, HXP72, HXP91, HXP92, HXP95 and HXP107 and/or a peptide selected from the list consisting of Sit HPN IOOA, EcAMPl, Osa_HPN_86B, Sbi_HPN_104C, Sbi_HPN_104I, Cil_HPN_14F, bactenecin, LL-37, SMAP29, BMAP28, mCRAMP, RK-31, KS-30, EcAMP4A, BWI-2c, BWI-2b, MBP-1, MiAMP2d, C2, VhTl, Bac2A, indolicidin, CP-29, androctonin, polyphemusin (F12I), polyphemusin I, polyphemusin II, tachyplesin II, gomesin, thanatin, protegrin, SlCys9N(67-92), SlCys9N(77-l 10), HvCPI6(75-99) and CC7(71-104). 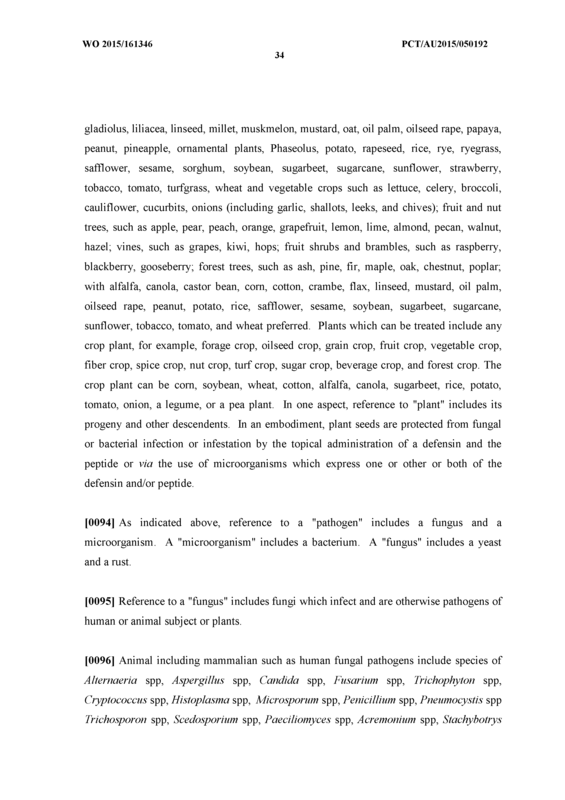 A composition comprising the microorganism of Claim 43. 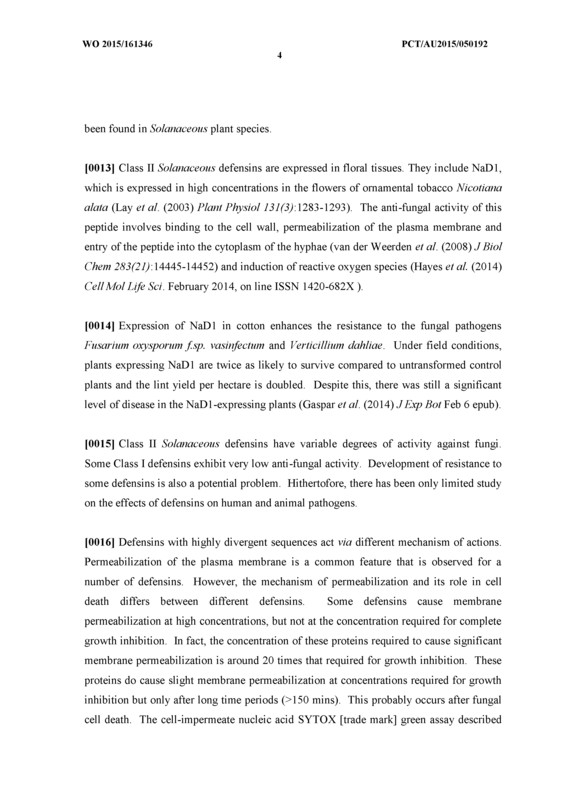 A formulation comprising a plant extract comprising a defensin selected from NaDl, TPP3, PhDl, PhDIA, PhD2, FST, NoD172, HXL001, HXL002, HXL004, HXL007, HXL008, HXL012, HXL013, HXL015, HXL035 and HXL036 or a variant or derivative of a defensin selected from the group consisting of HXP4, HXP34, HXP35, HXP37, HXP58, HXP72, HXP91, HXP92, HXP95 and HXP107, the formulation further comprising a non-defensin peptide selected from the list consisting of Sit_HPN_100A, EcAMPl, Osa_HPN_86B, Sbi_HPN_104C, Sbi_HPN_104I, Cil_HPN_14F, bactenecin, LL-37, SMAP29, BMAP28, mCRAMP, RK-31, KS-30, EcAMP4A, BWI-2c, BWI-2b, MBP-1, MiAMP2d, C2, VhTl, Bac2A, indolicidin, CP-29, androctonin, polyohemusin (F12I), polyphemusin I, polyphemusin II, tachyplesin II, gomesin, thanatin, protegrin, SlCys9N(67-92), SlCys9N(77-l 10), HvCPI6(75-99) and CC7(71-104). 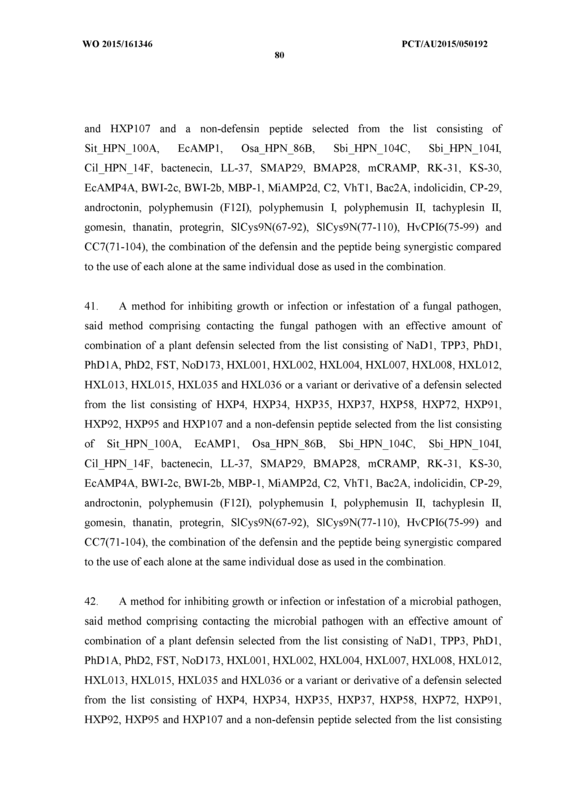 A method for inhibiting growth or infection or infestation of a pathogen, said method comprising contacting the pathogen with an effective amount of a-hairpinin or β- hairpin or a functional natural or synthetic derivative or variant thereof at a concentration greater than the concentration required to inhibit growth or infection or infestation when used in combination with a plant defensin. 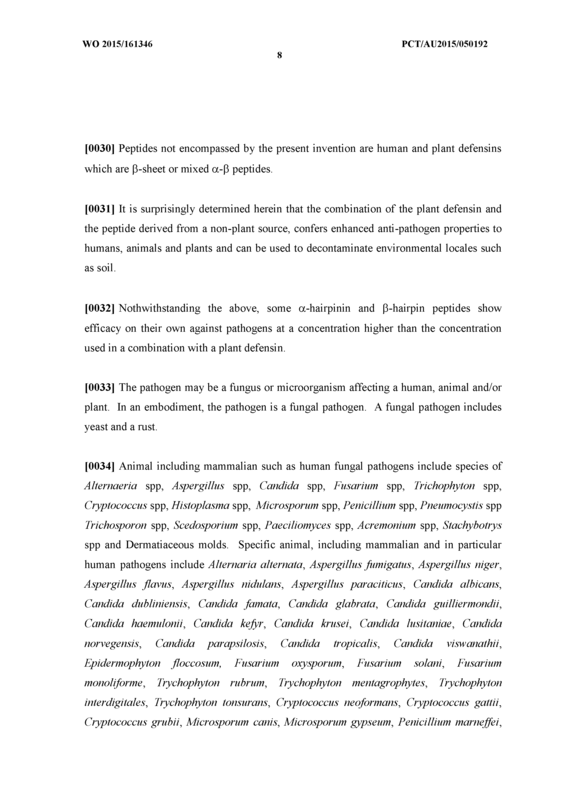 The method of Claim 49 wherein the pathogen is a fungal pathogen. 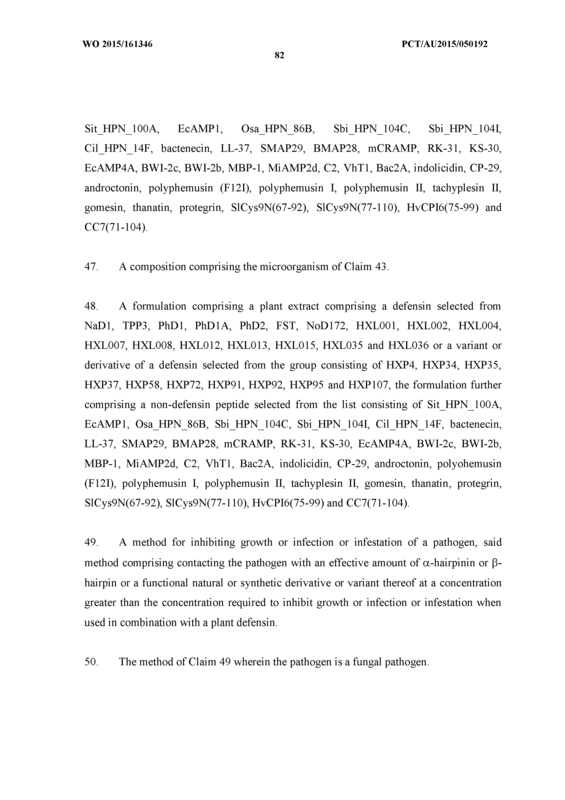 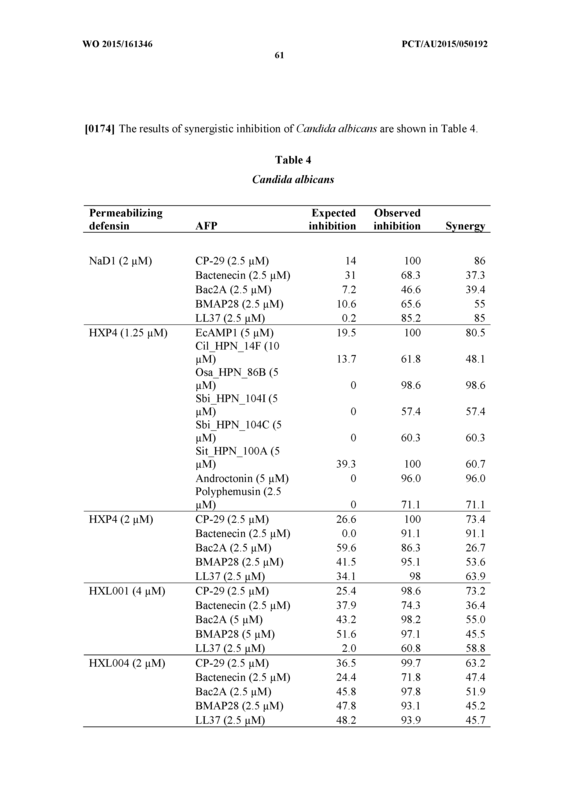 The method of Claim 50 wherein the fungal pathogen is selected from the list consisting of Fusarium sp, Colletotrichum sp, Saccharomyces sp, Candida sp and Trichophyton sp. 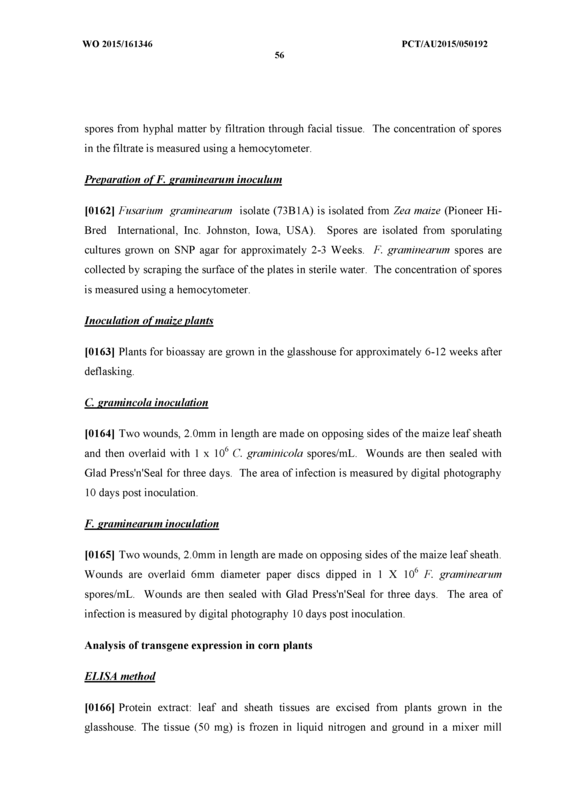 The method of Calim 51 wherein the is selected from the list consisting of Fusarium graminearum, Colletotrichum graminicola, Saccharomyces cerevisiae, Candida albicans and Trichophyton rubrum. 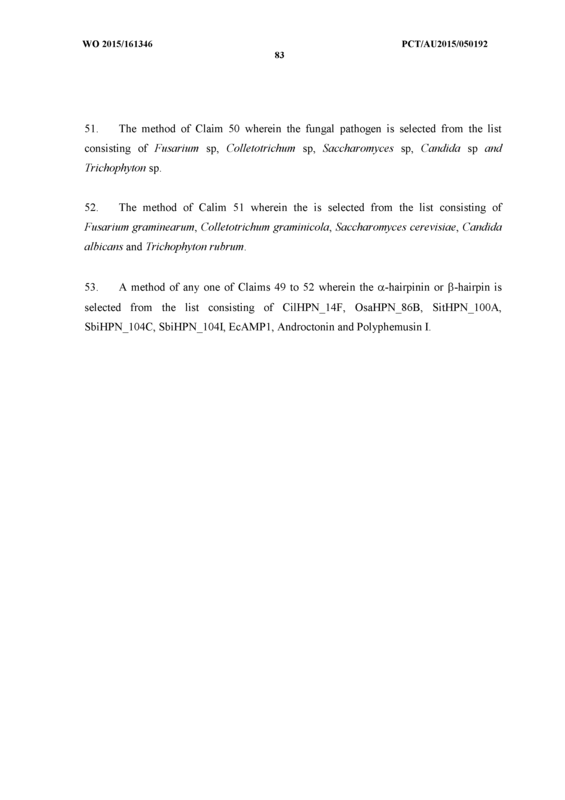 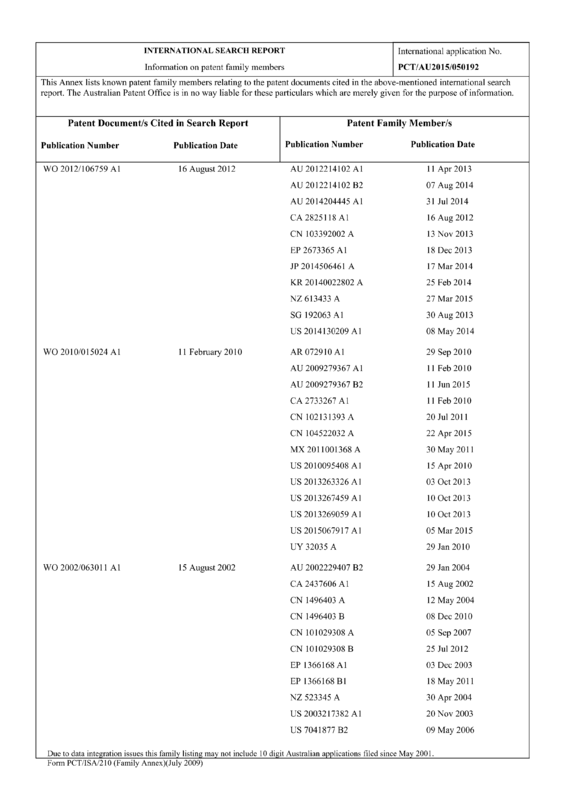 A method of any one of Claims 49 to 52 wherein the a-hairpinin or β-hairpin is selected from the list consisting of CilHPN_14F, OsaHPN_86B, SitHPN IOOA, SbiHPN_104C, SbiHPN_104I, EcAMPl, Androctonin and Polyphemusin I.